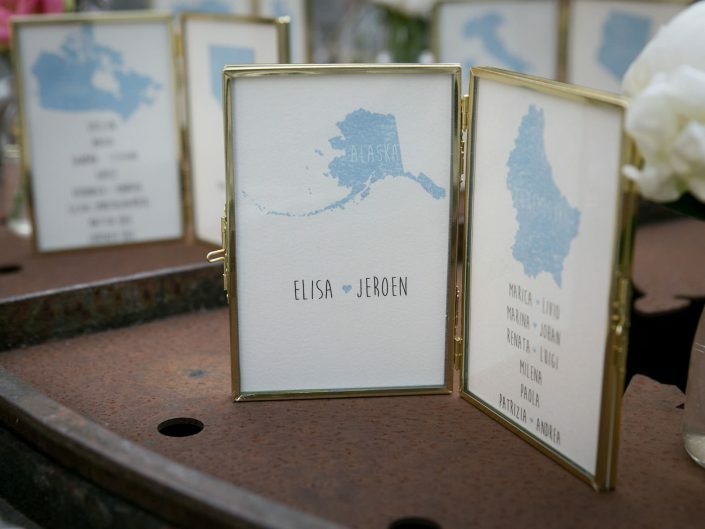 Elisa and Jeoren contacted me a few weeks after the proposal (before saying it to their families!) 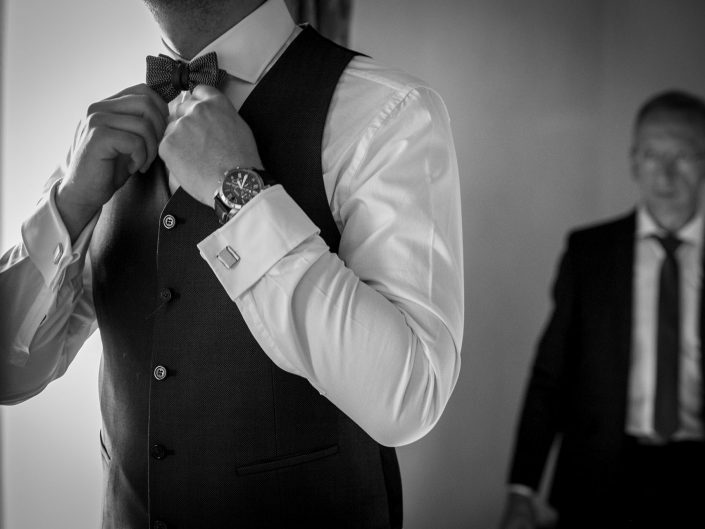 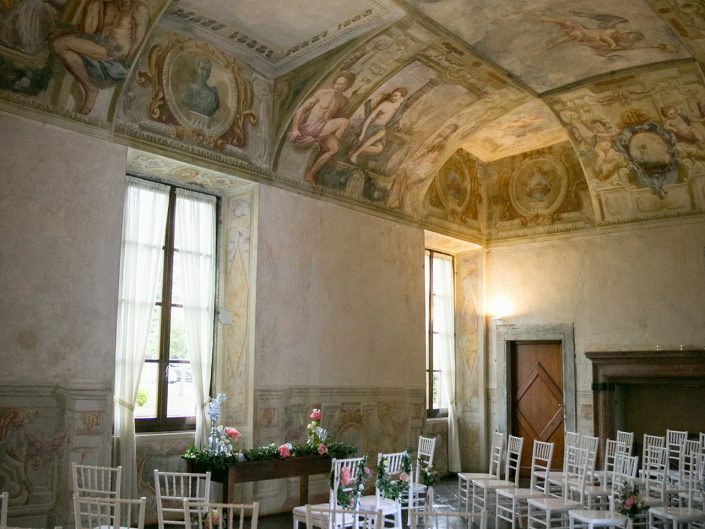 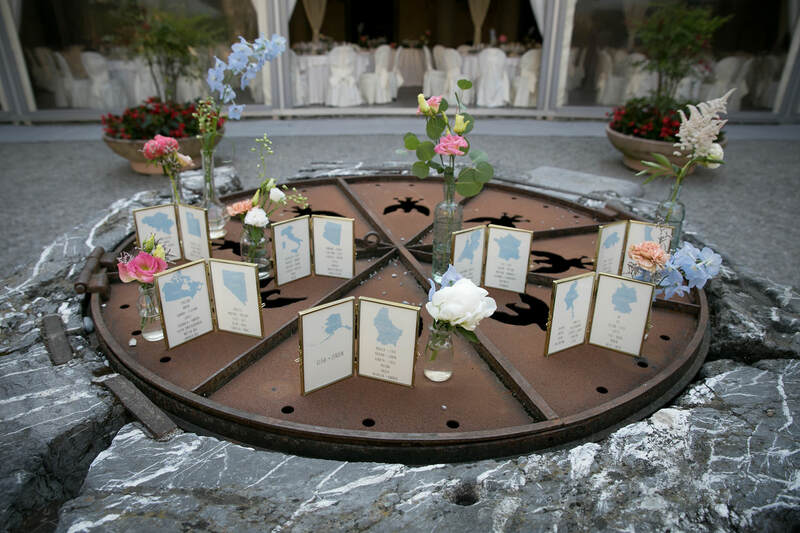 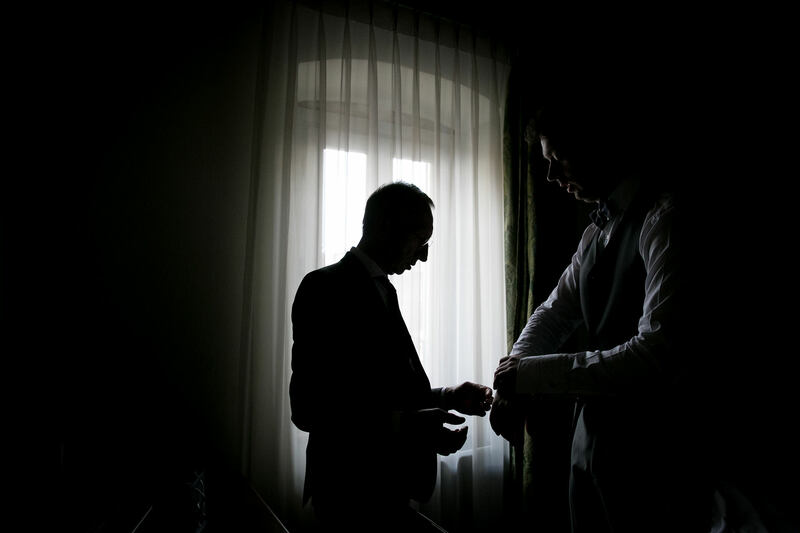 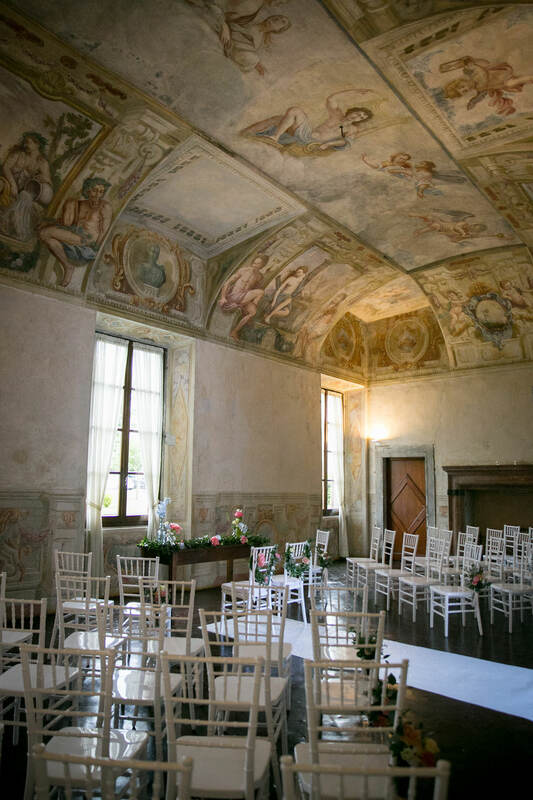 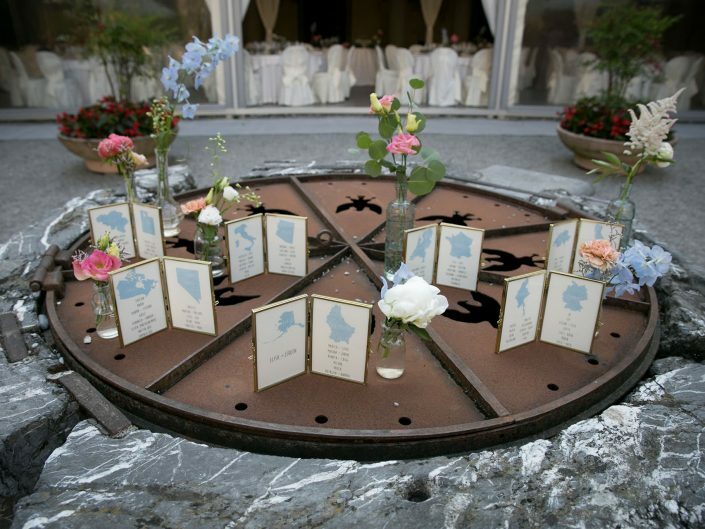 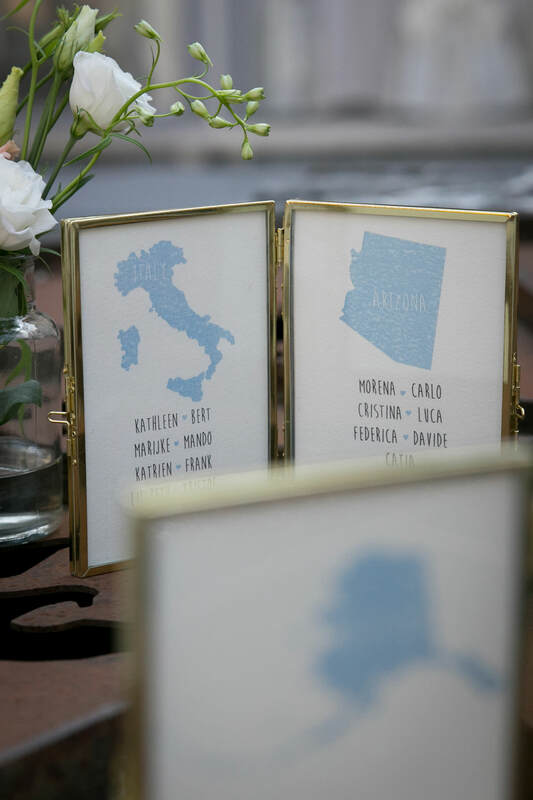 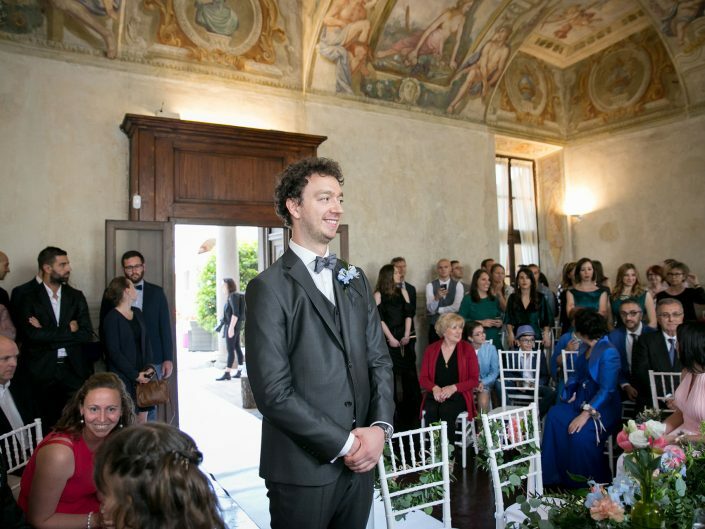 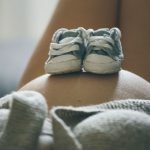 because they needed a wedding planner who dealt with the entire organisation of their destination wedding in Bergamo, near Milan. 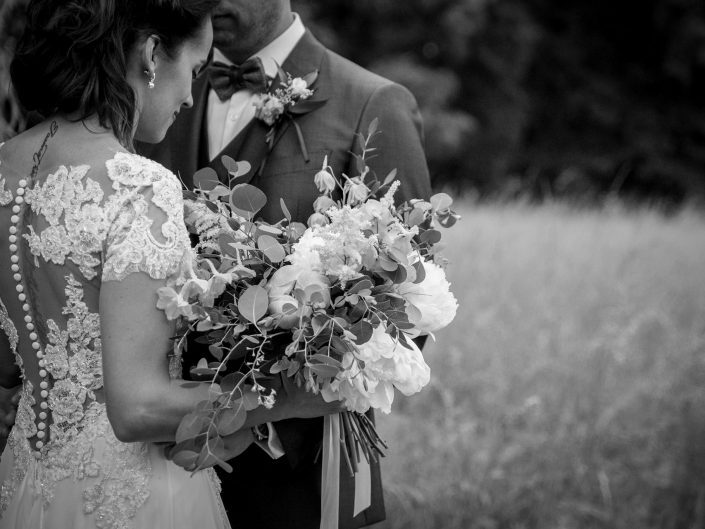 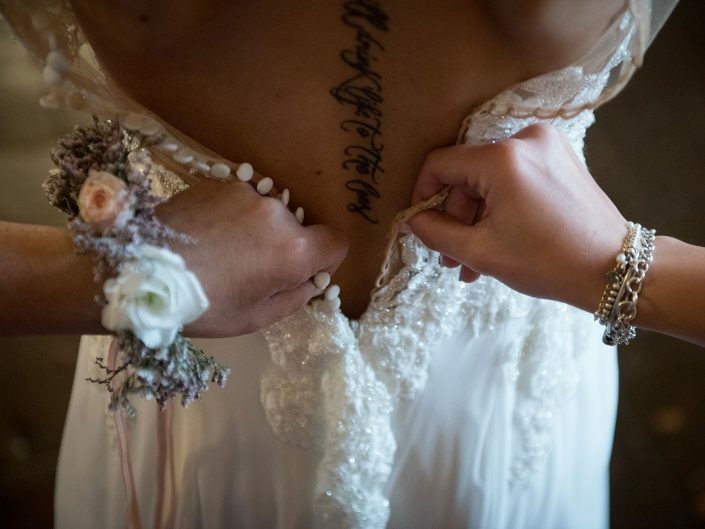 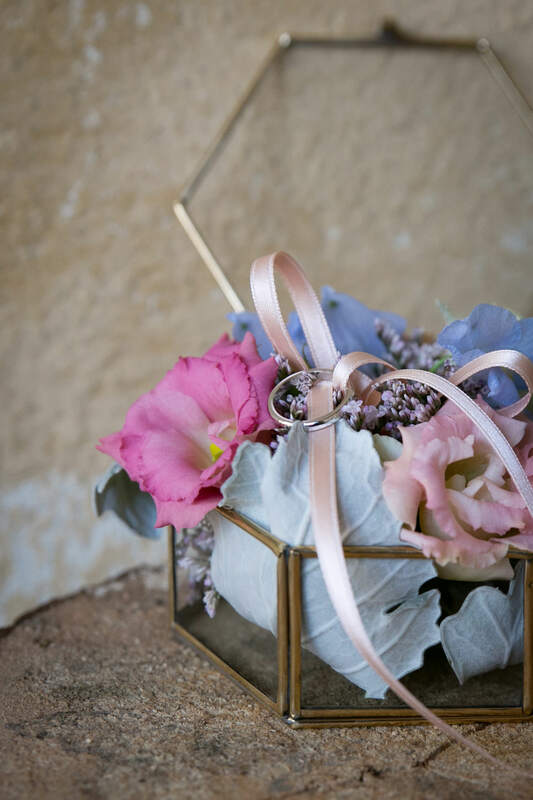 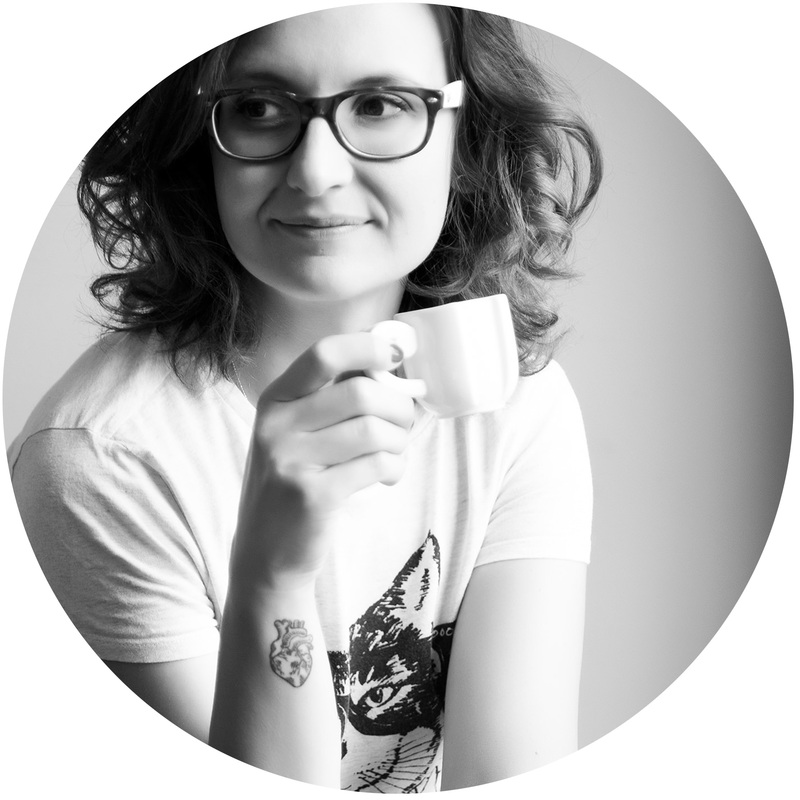 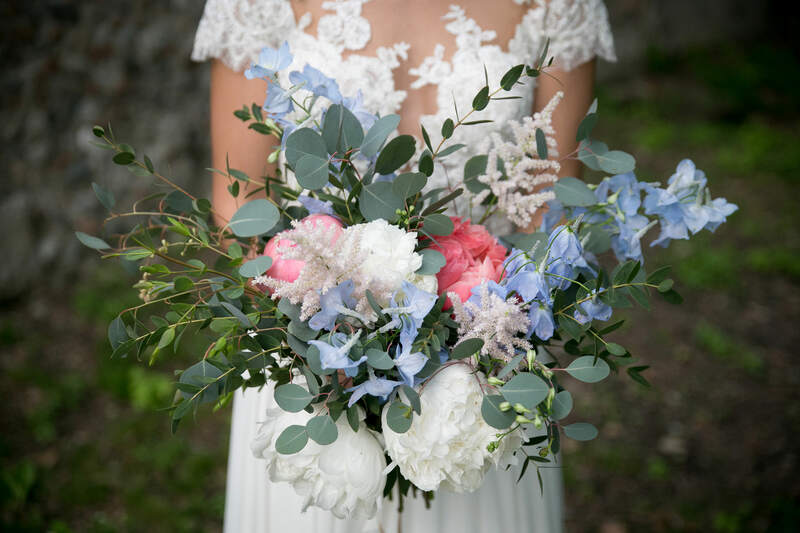 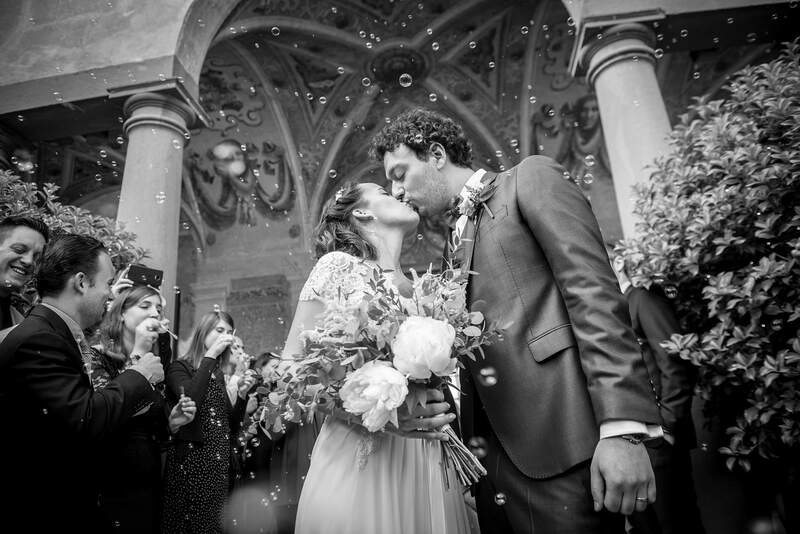 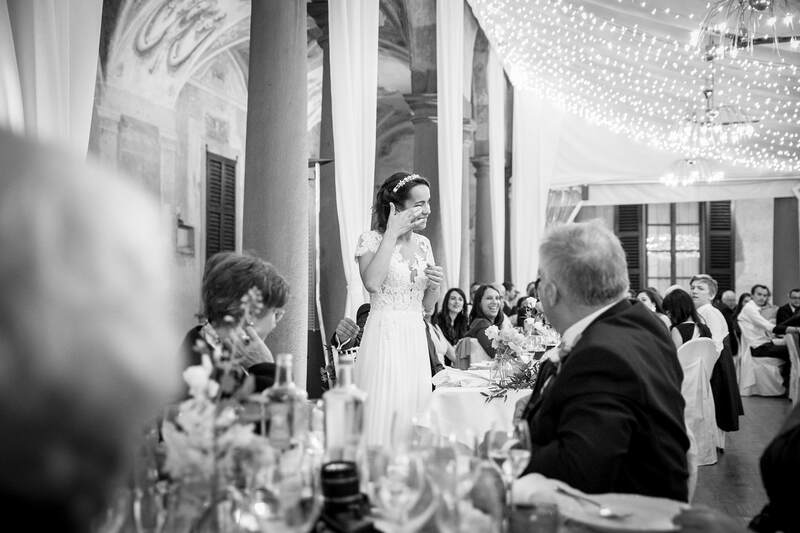 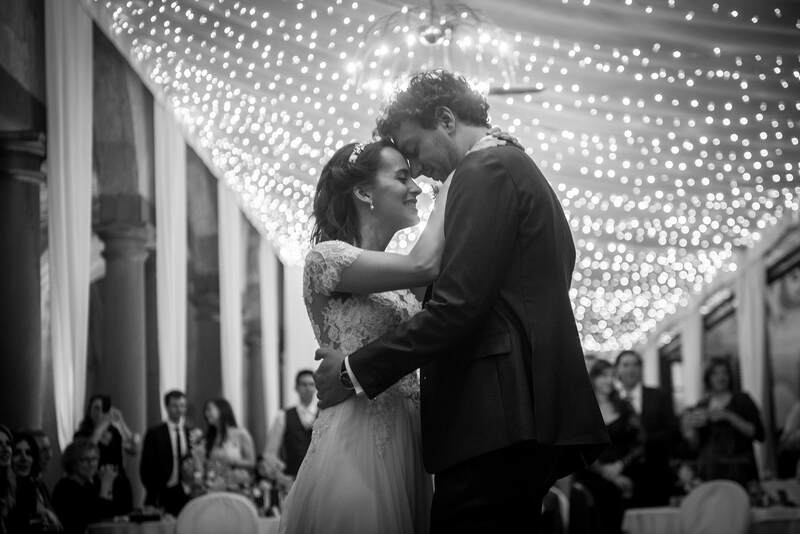 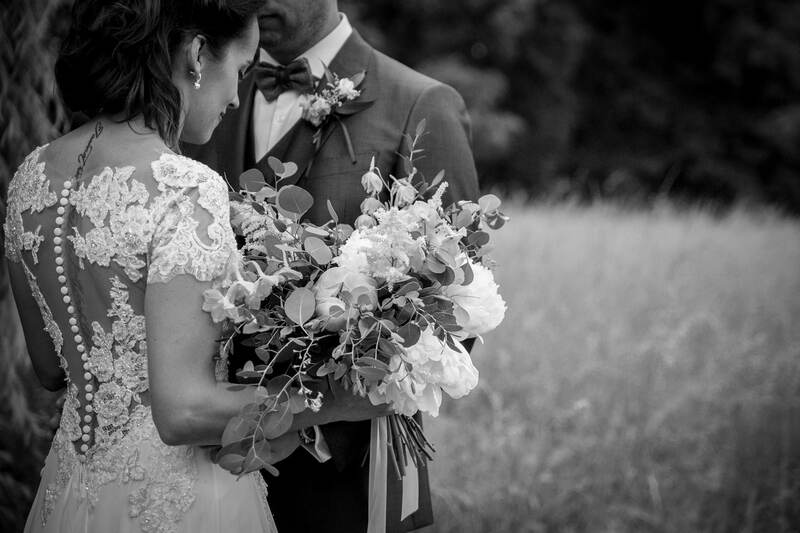 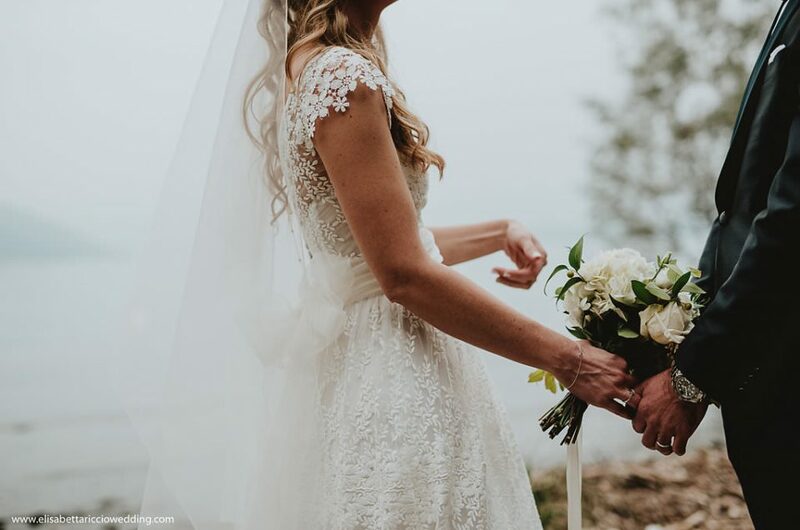 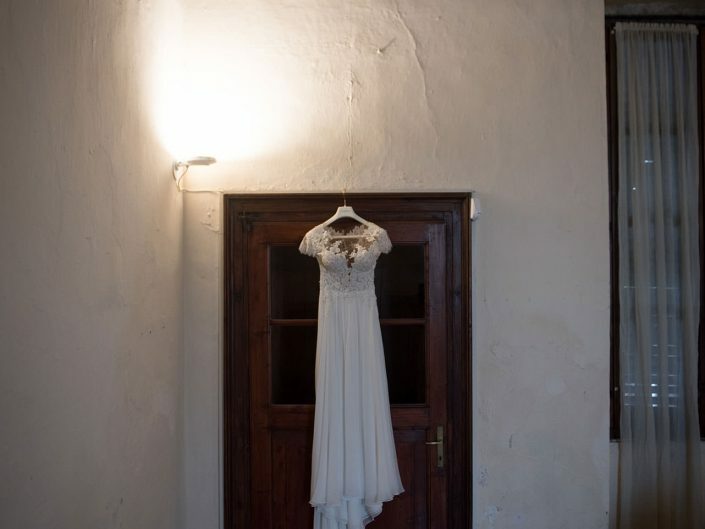 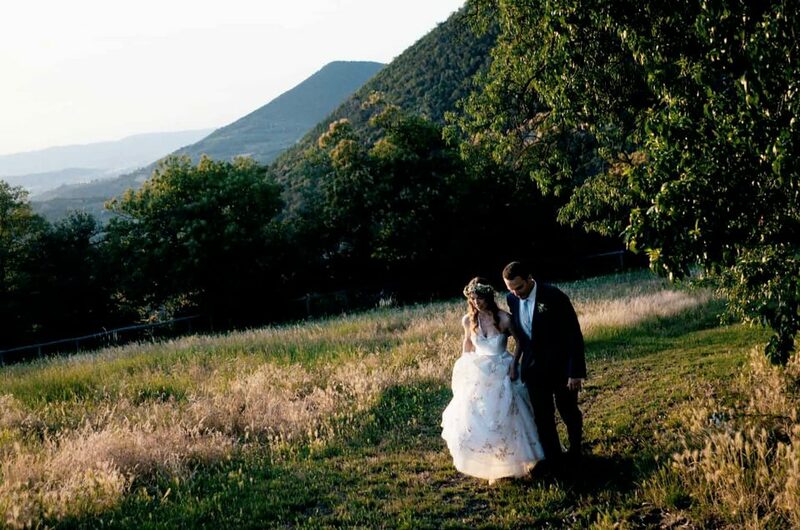 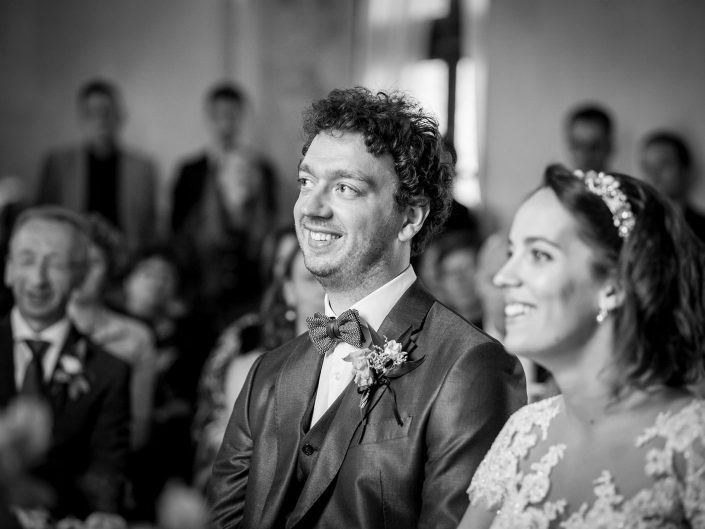 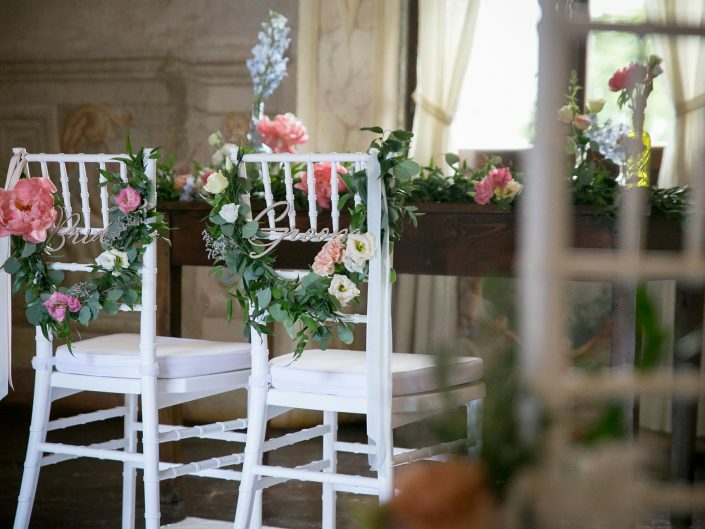 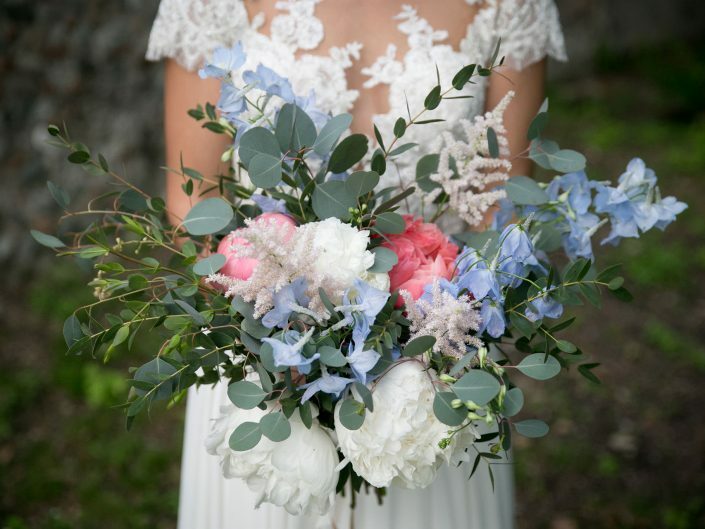 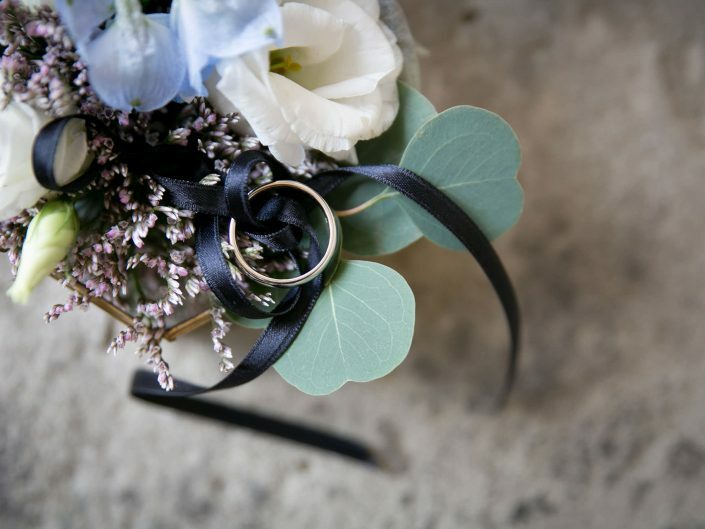 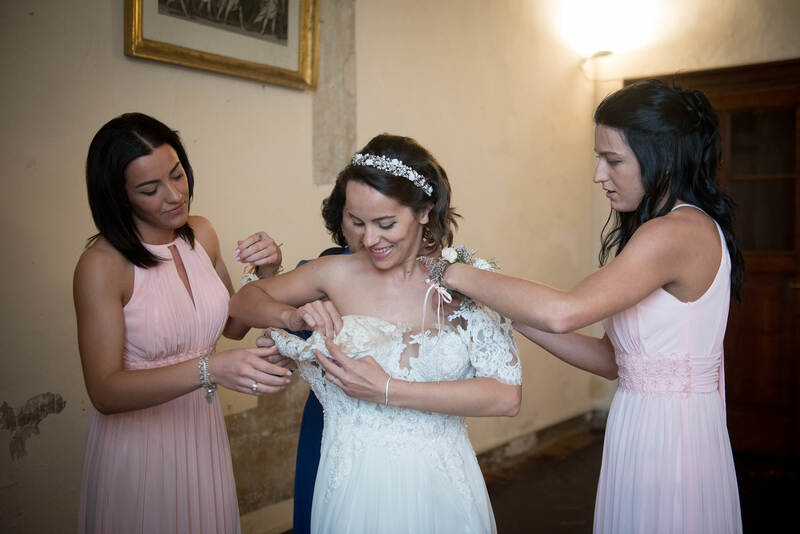 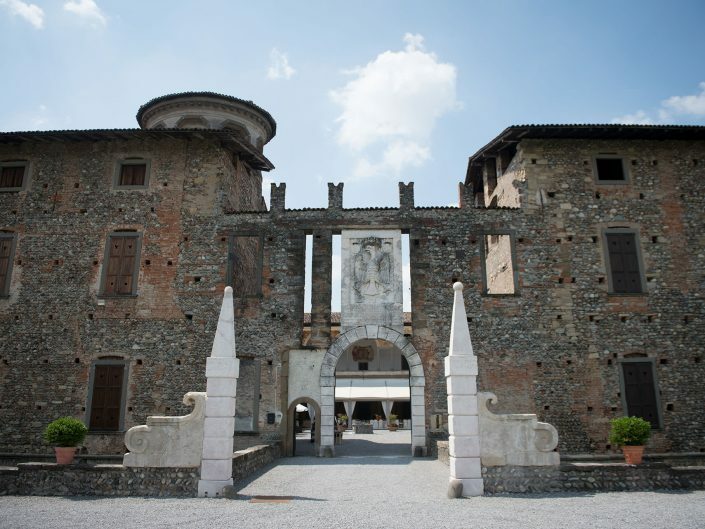 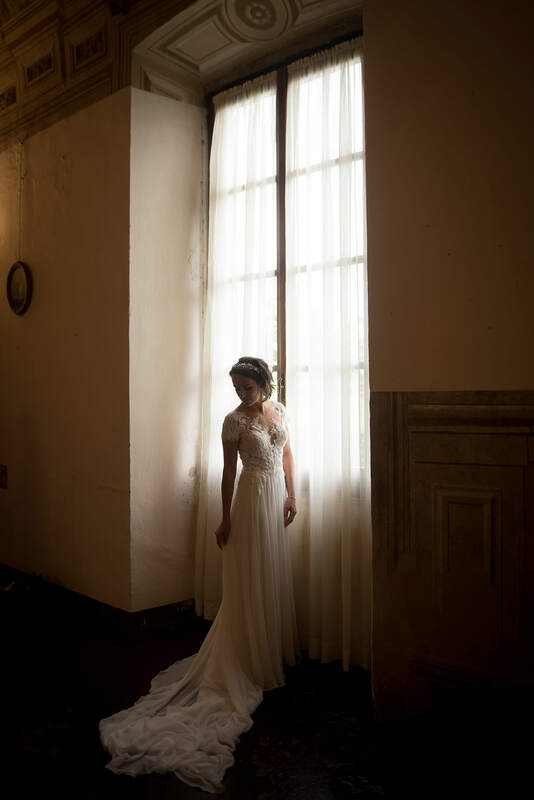 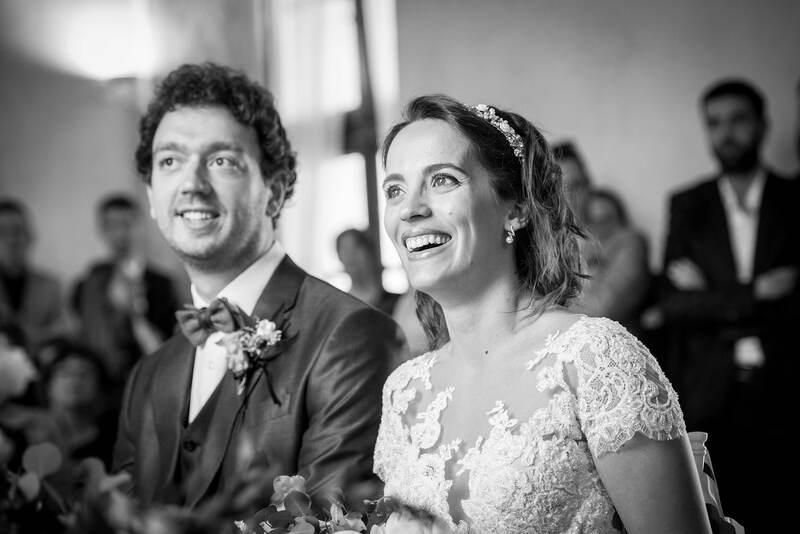 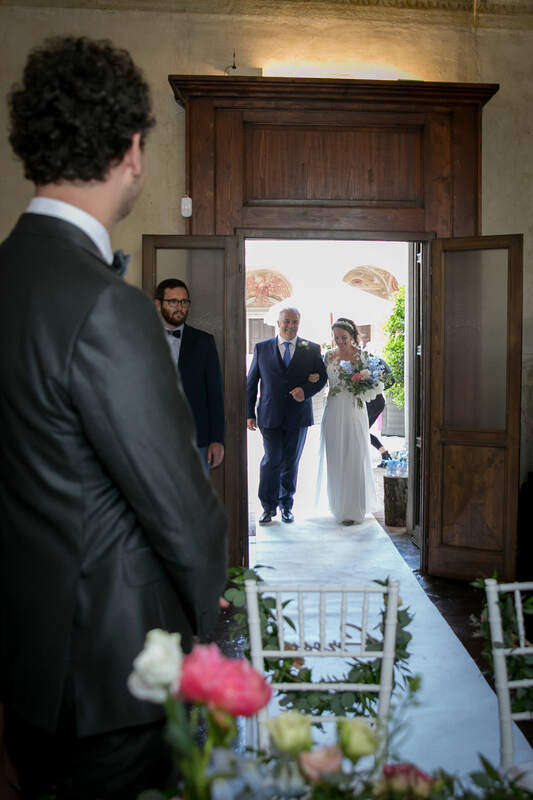 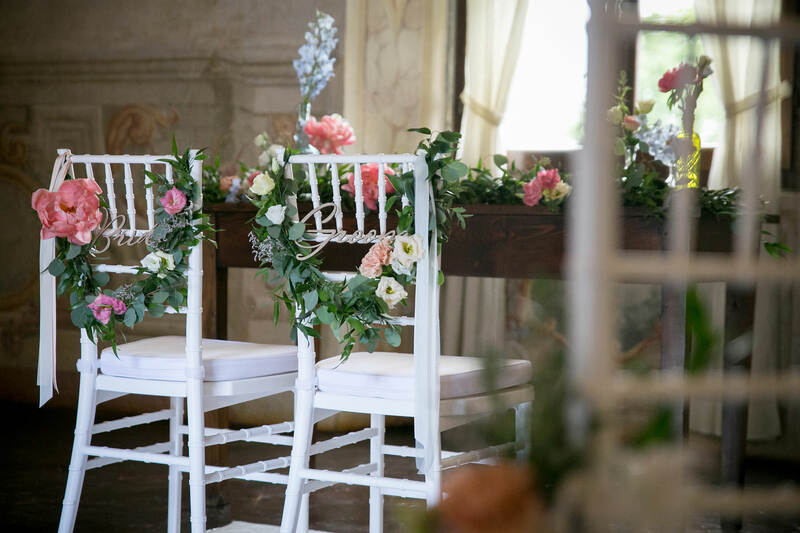 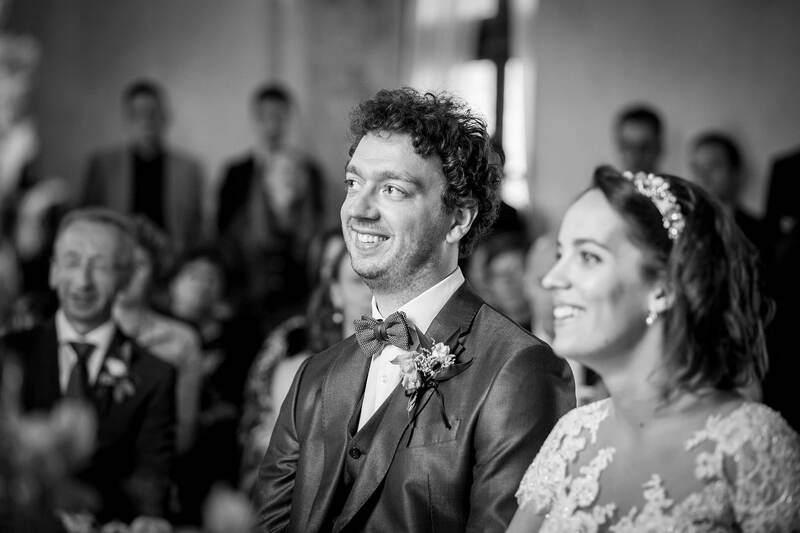 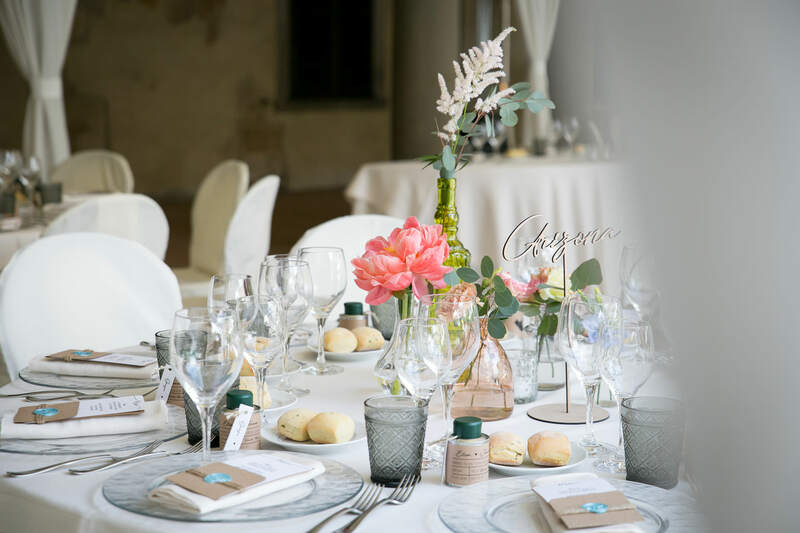 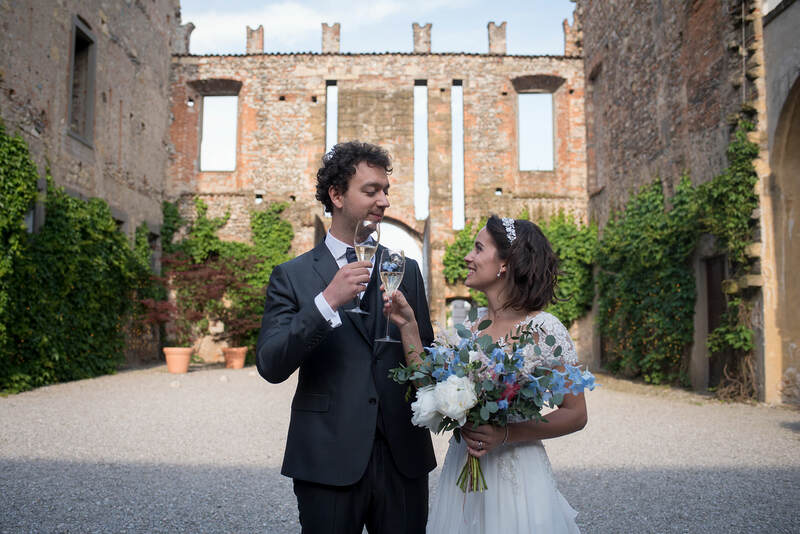 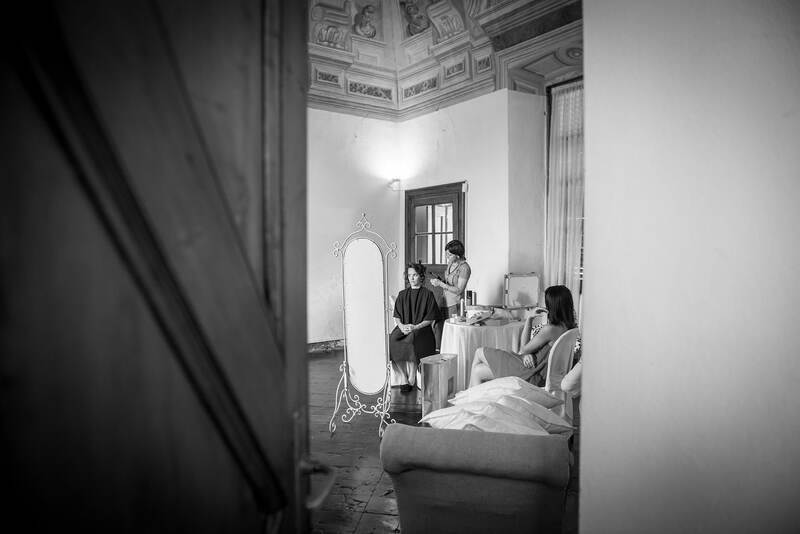 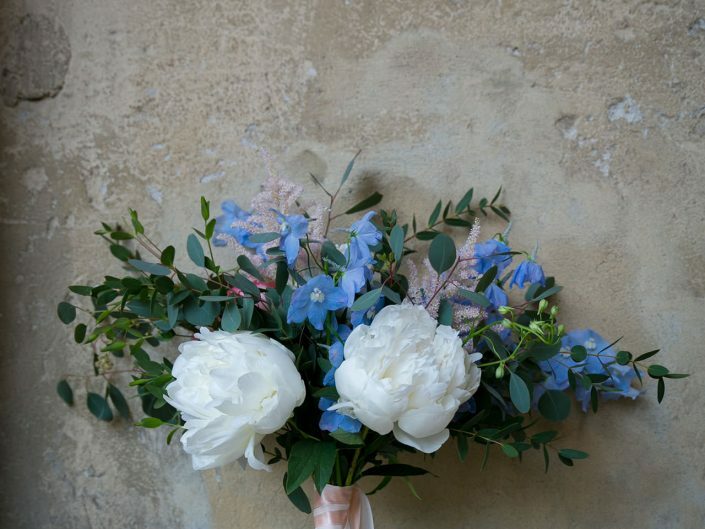 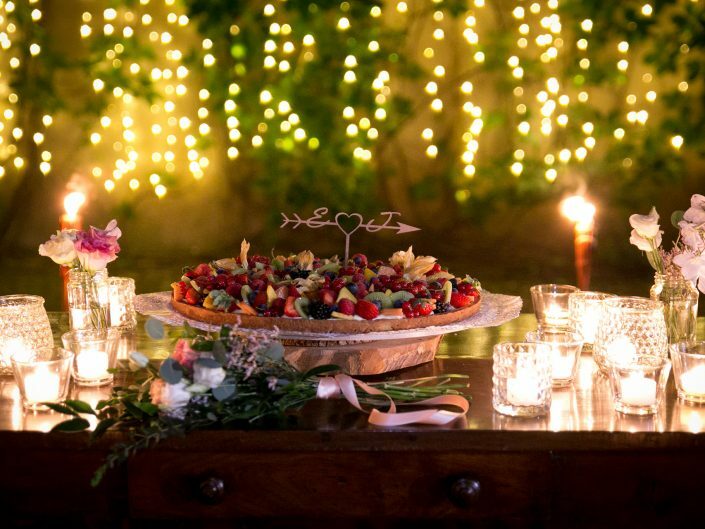 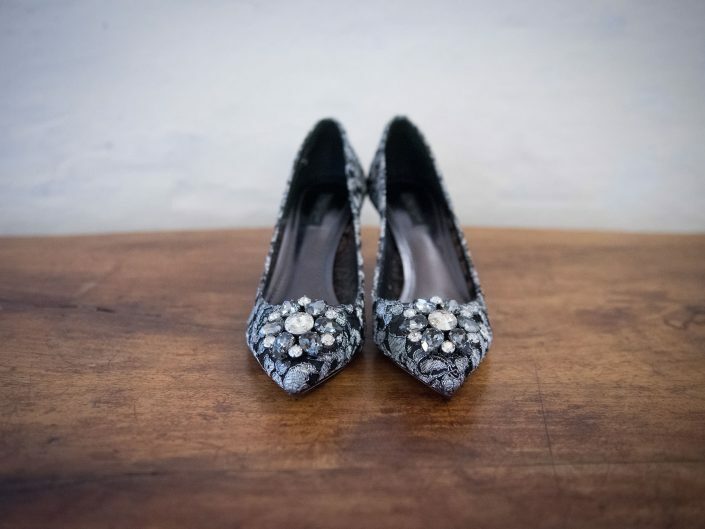 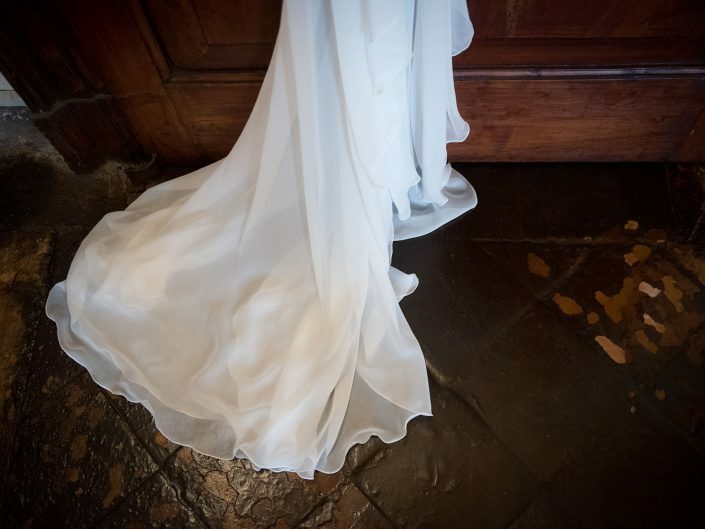 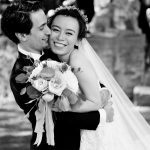 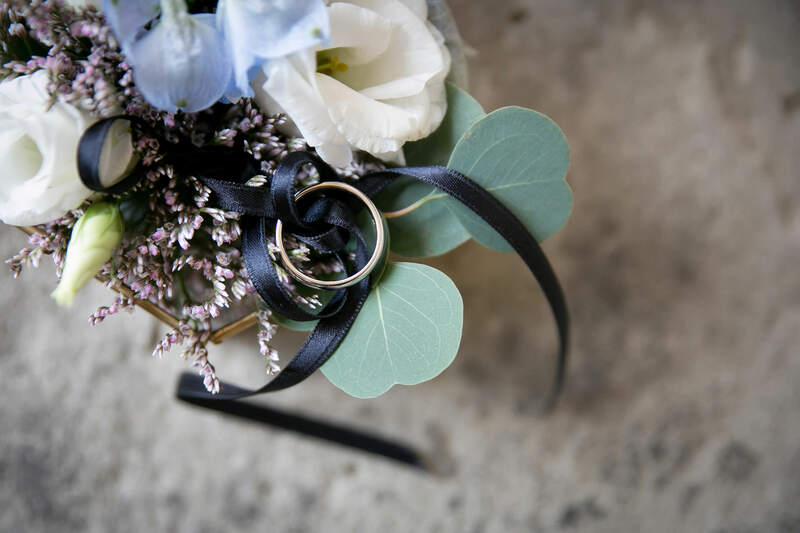 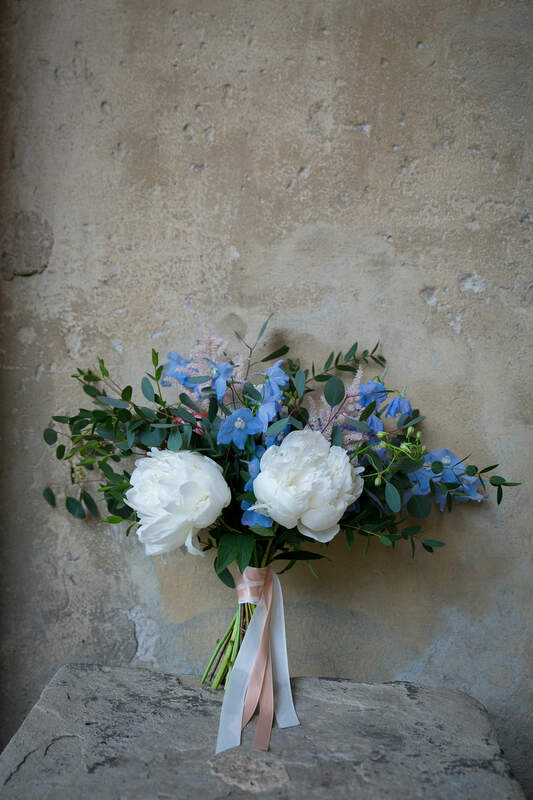 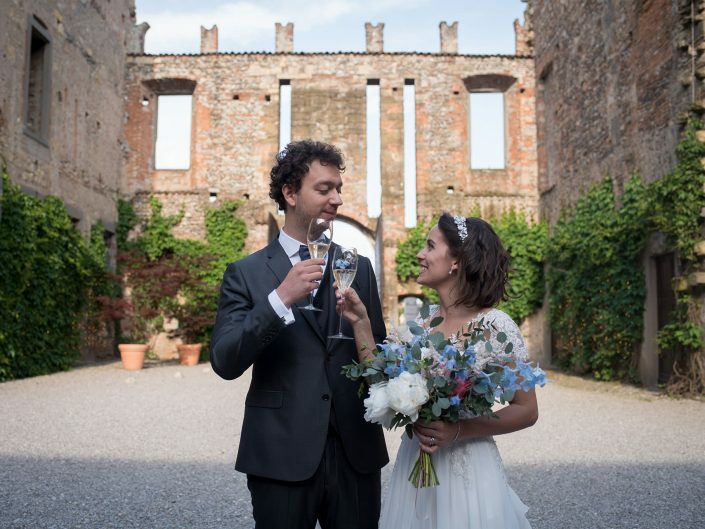 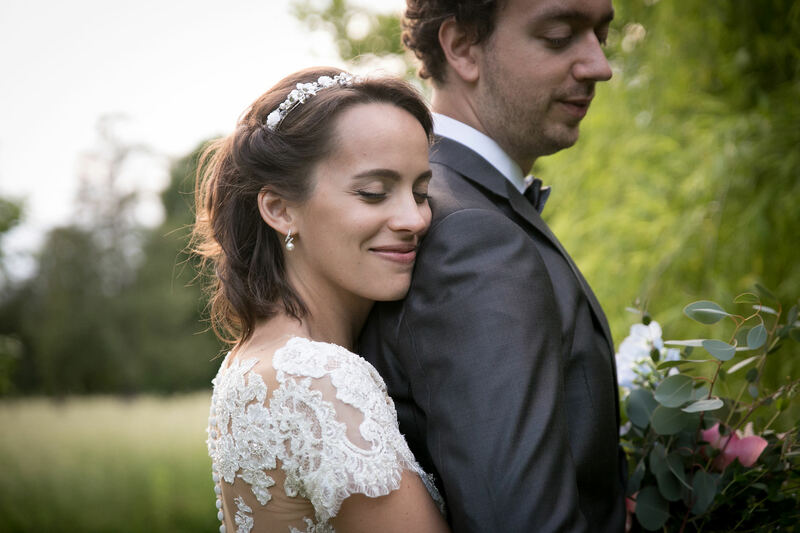 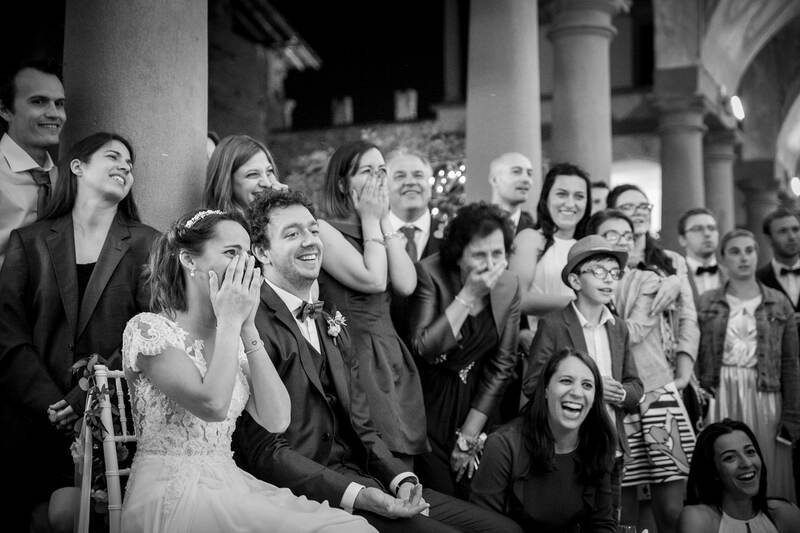 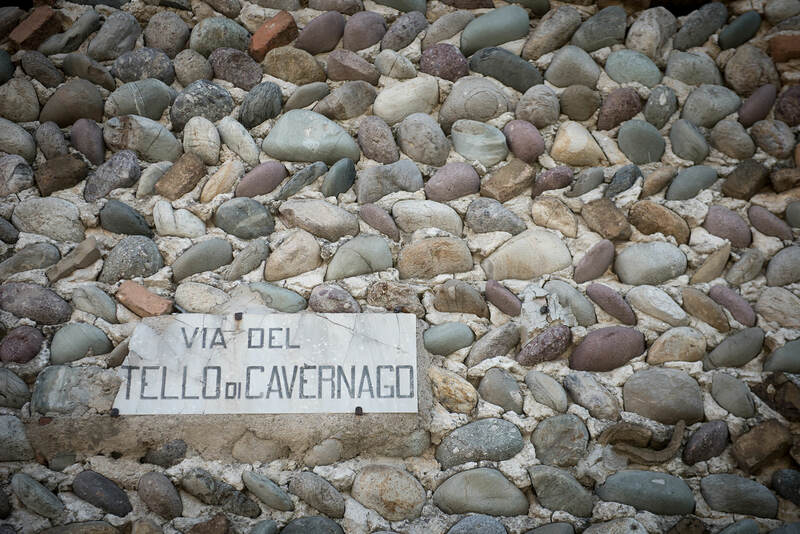 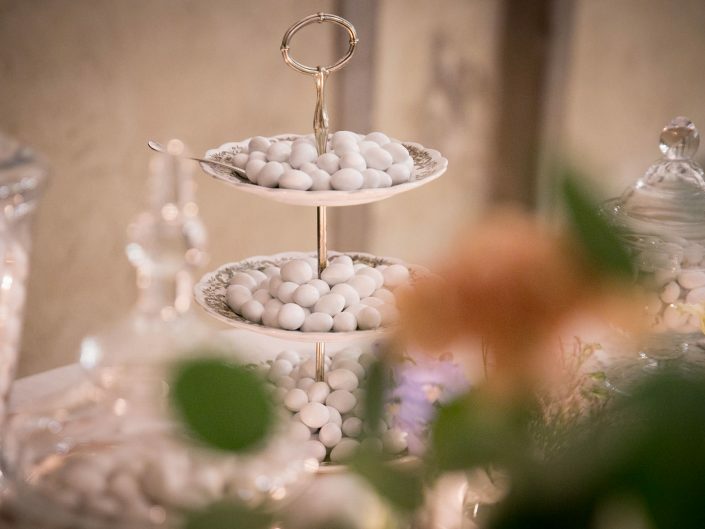 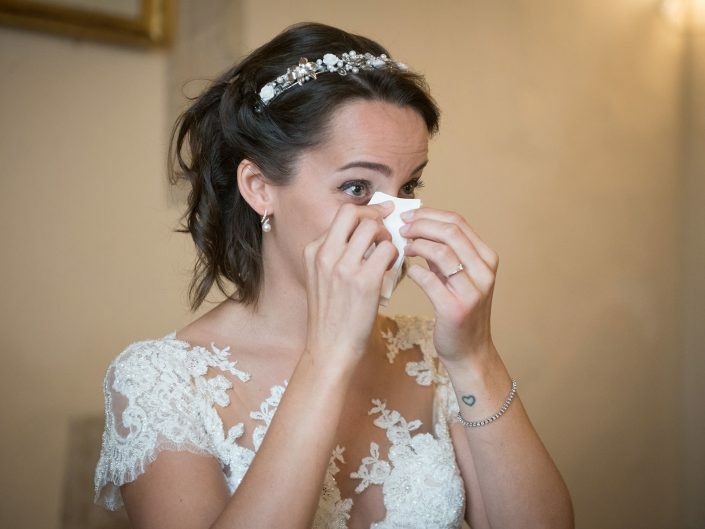 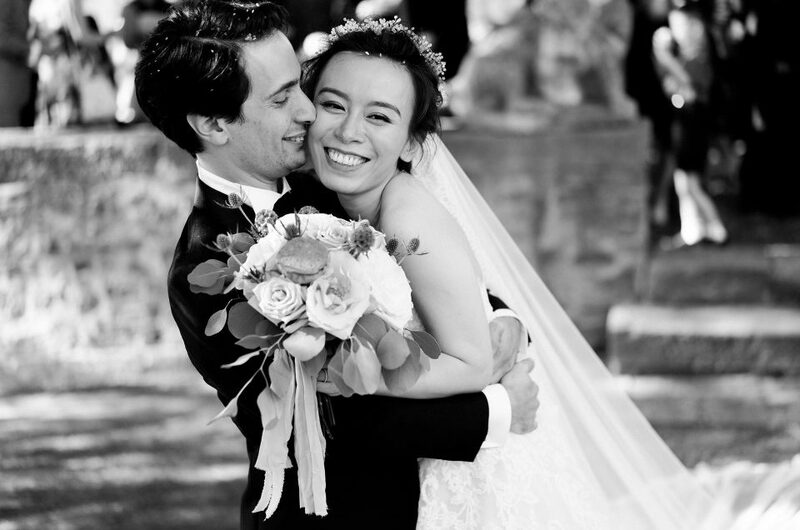 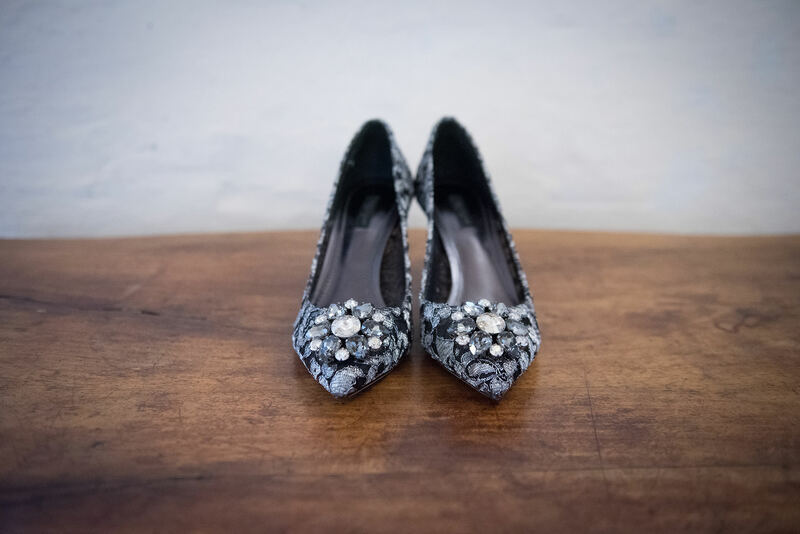 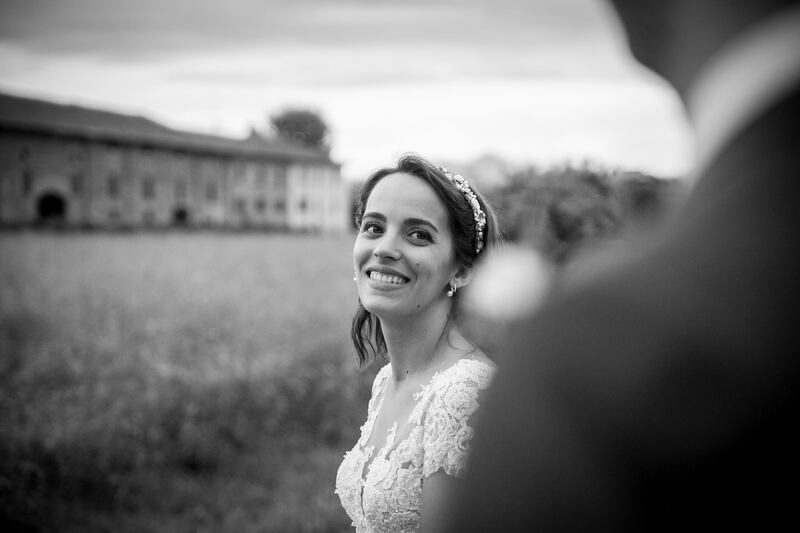 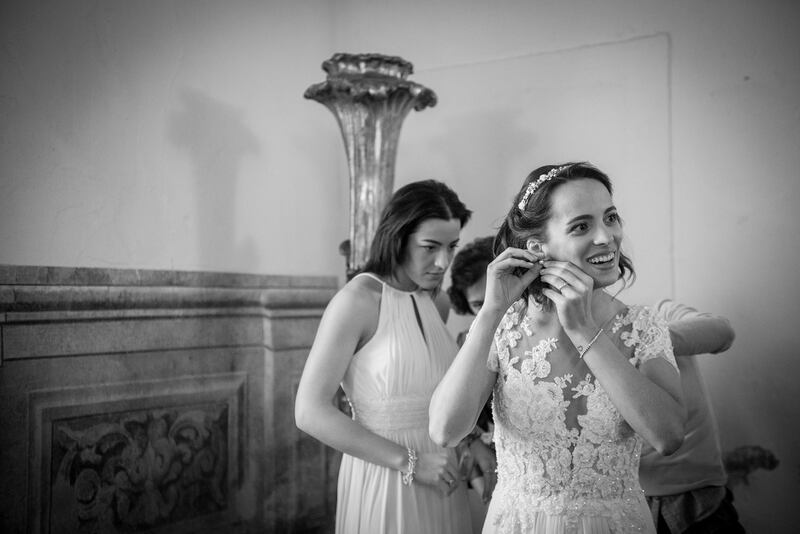 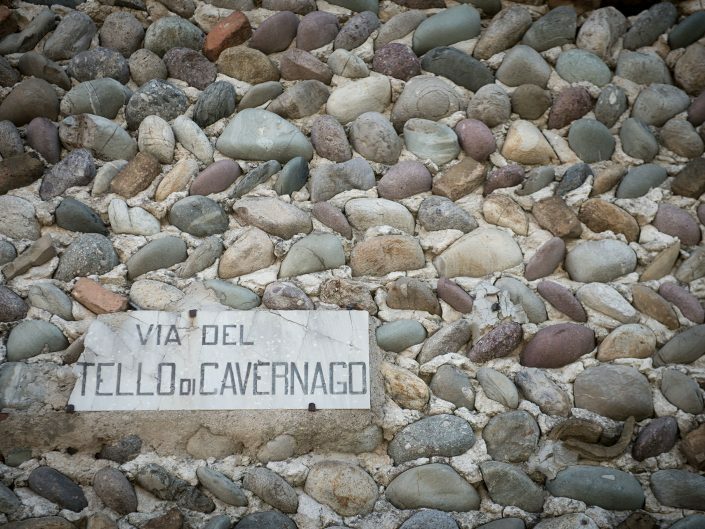 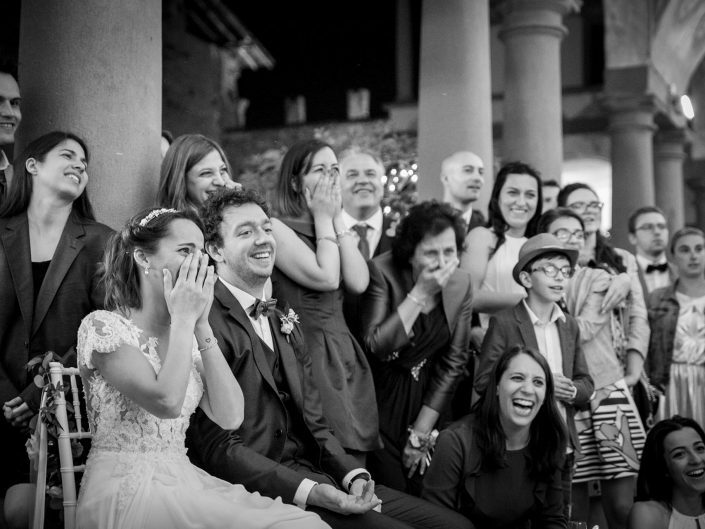 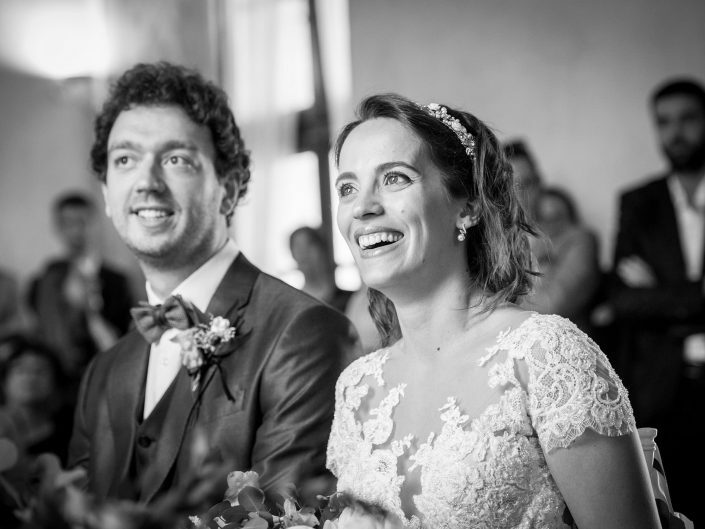 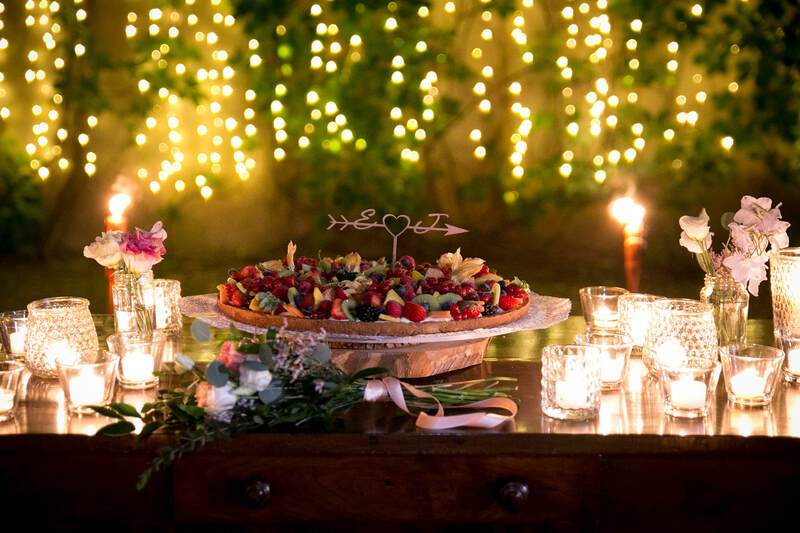 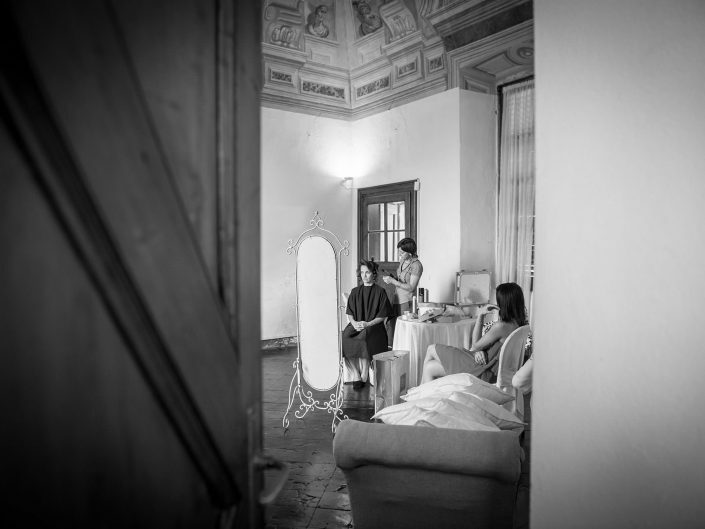 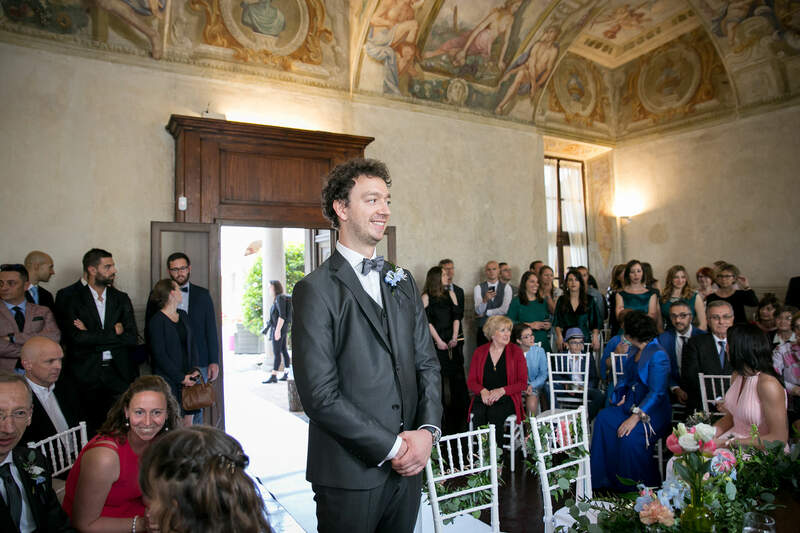 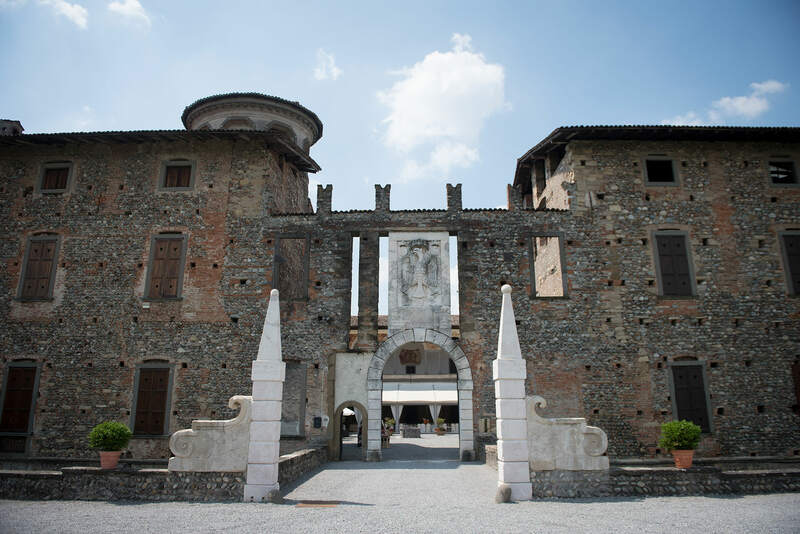 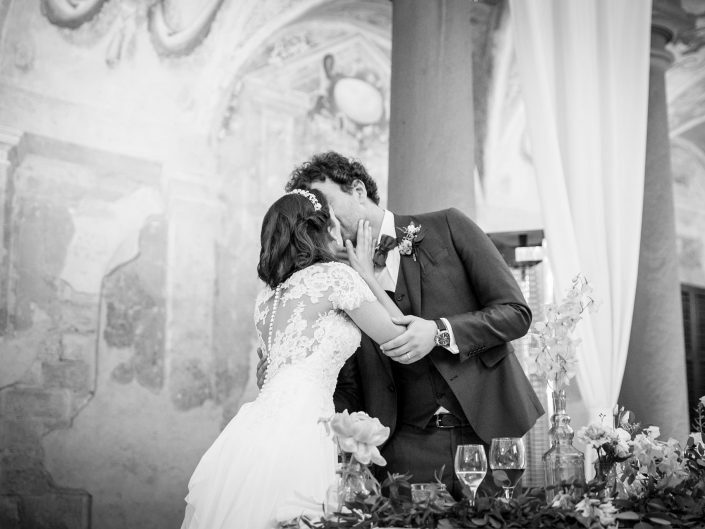 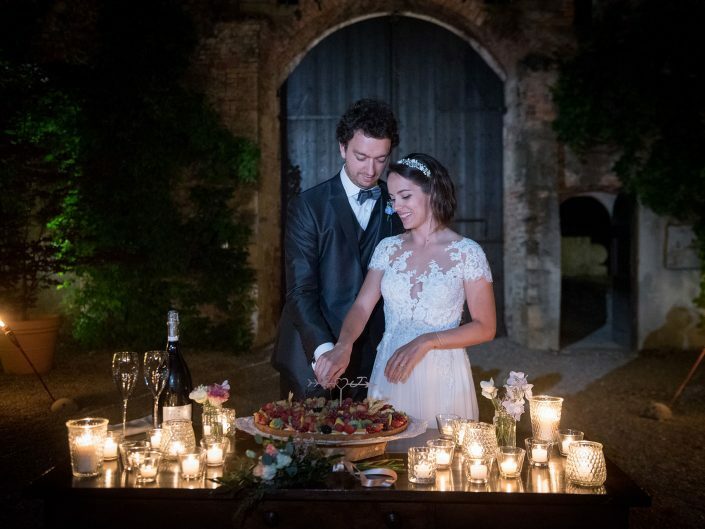 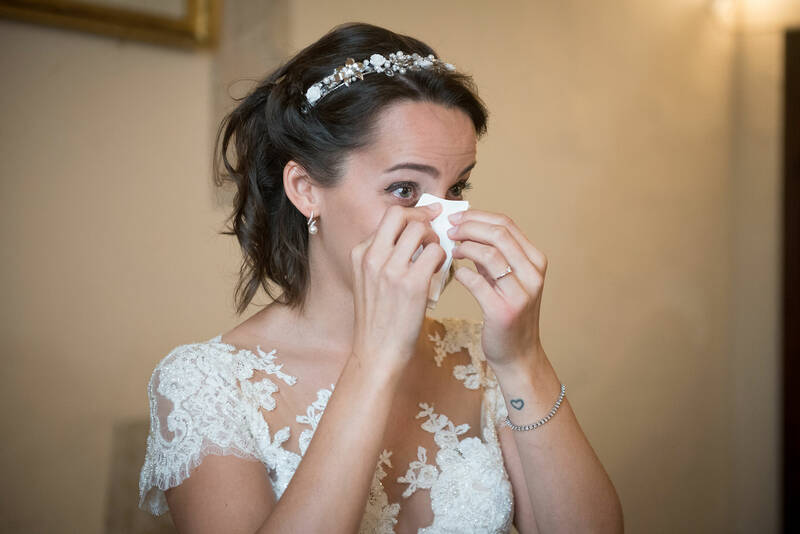 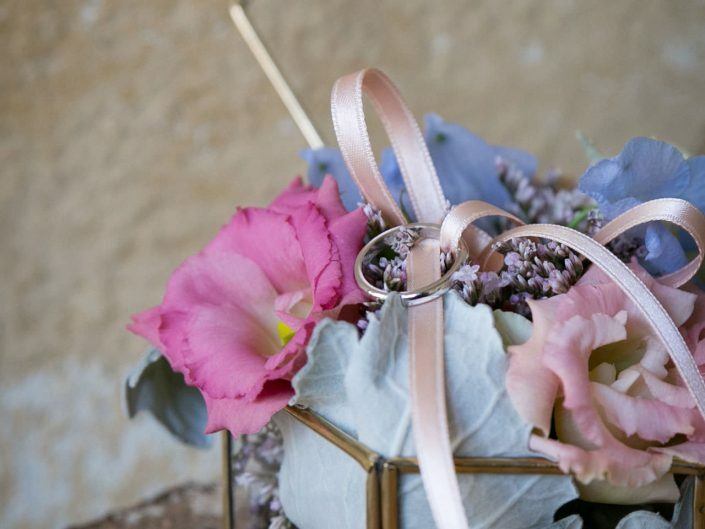 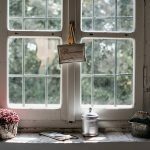 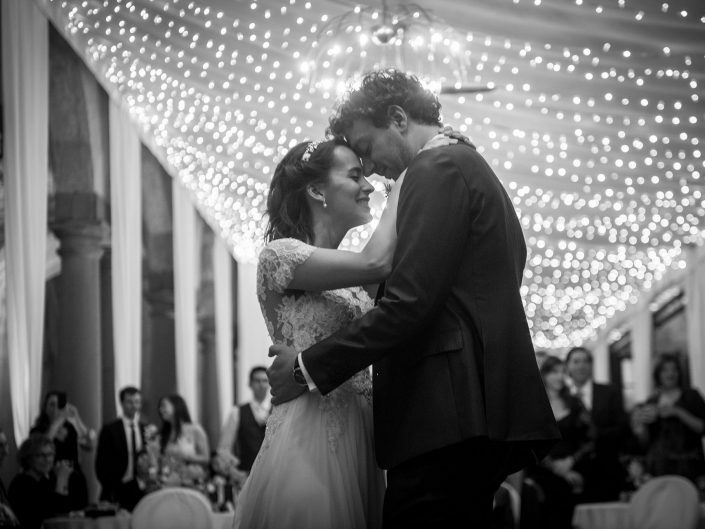 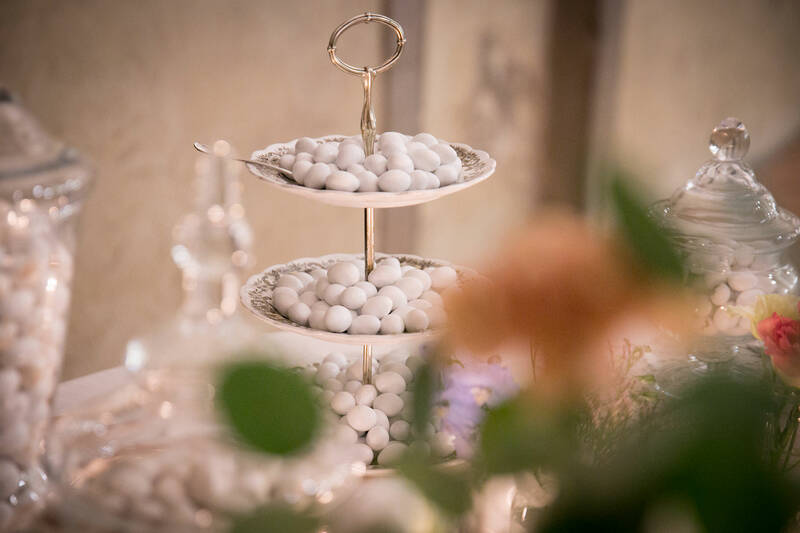 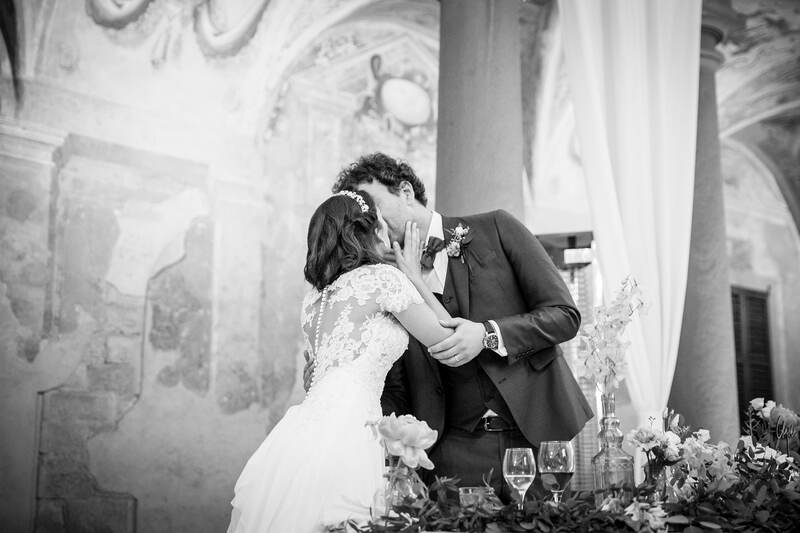 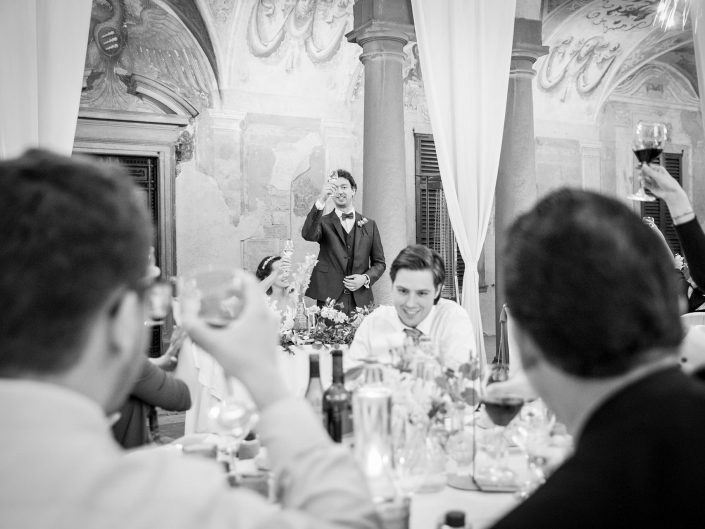 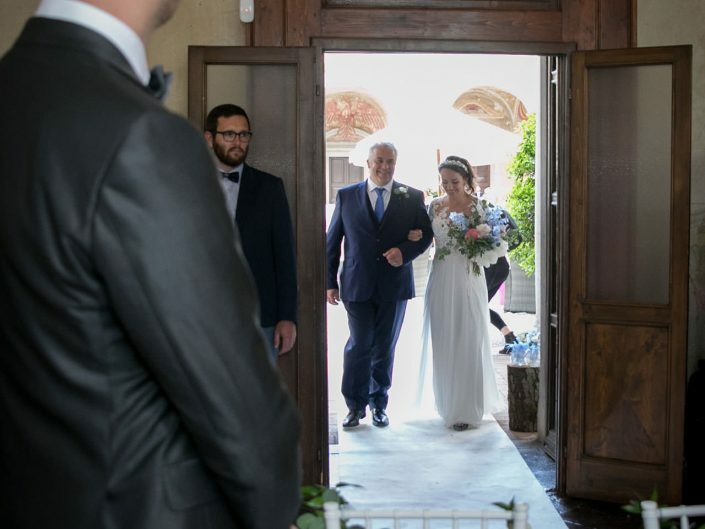 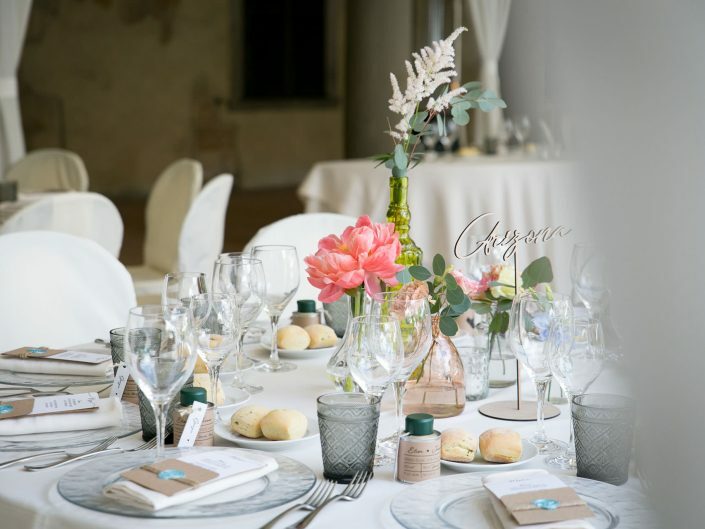 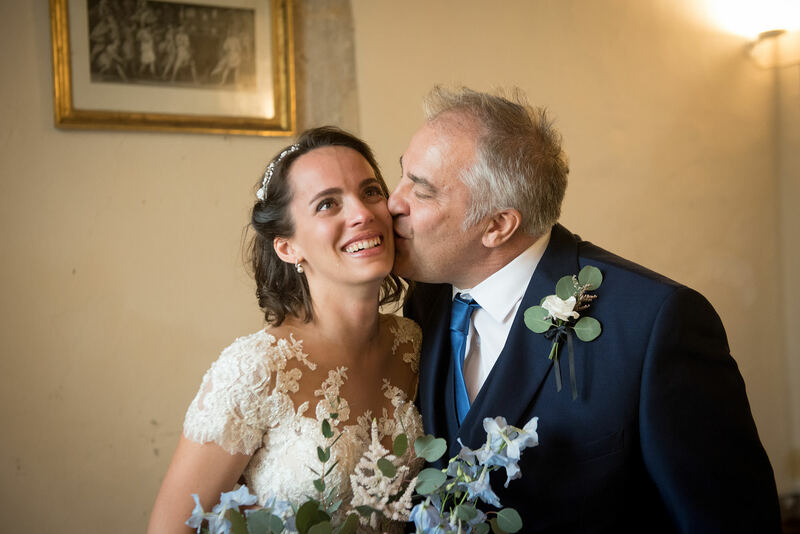 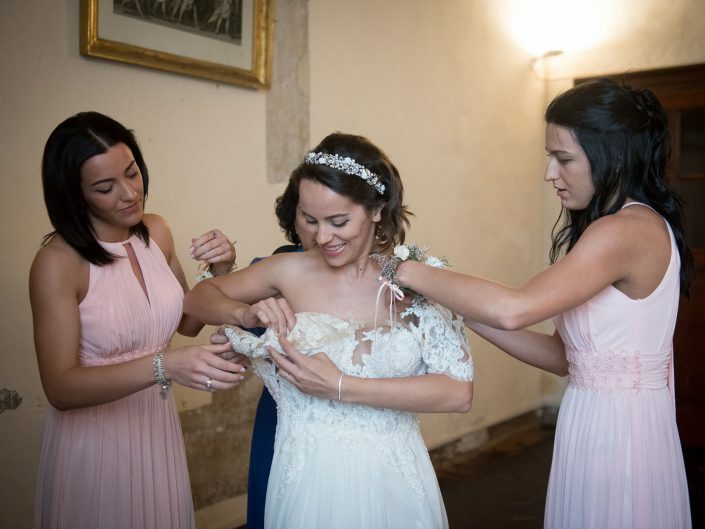 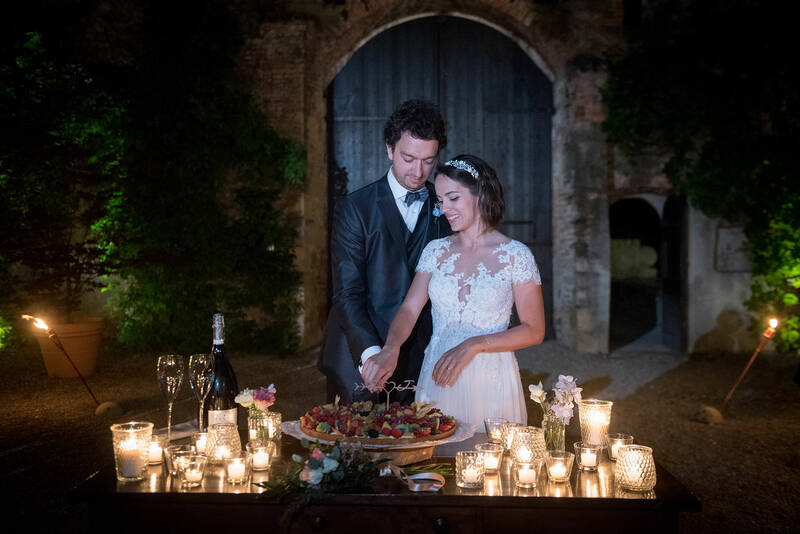 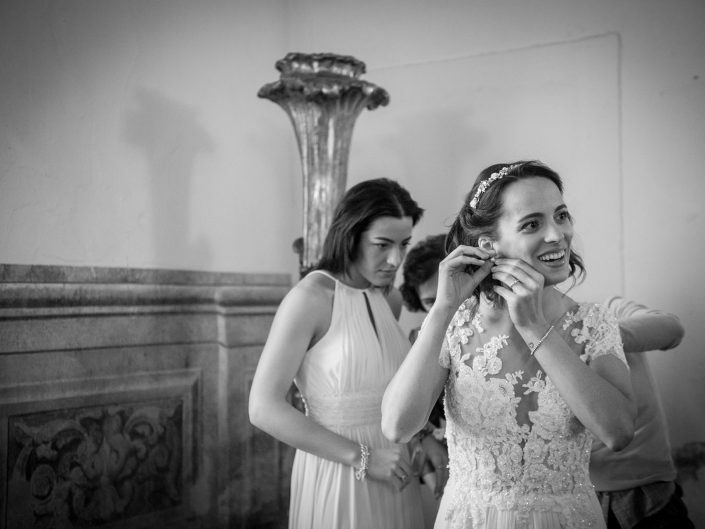 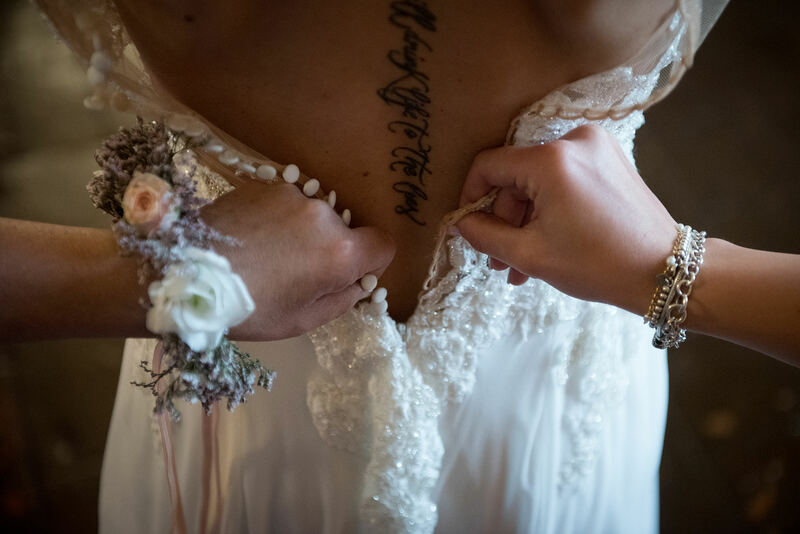 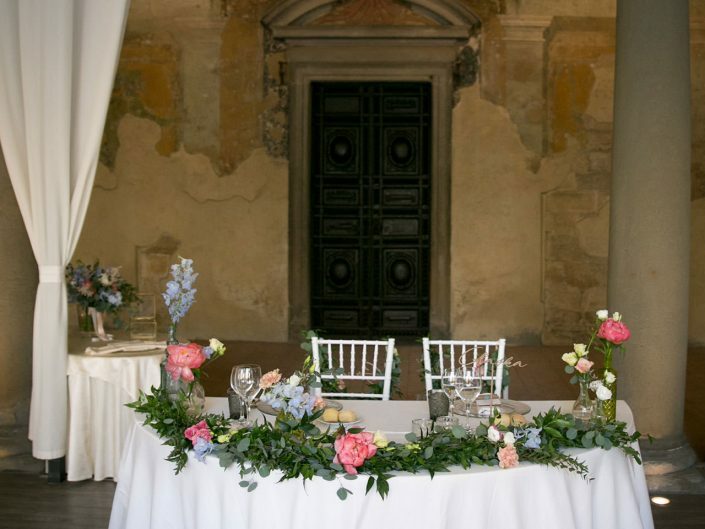 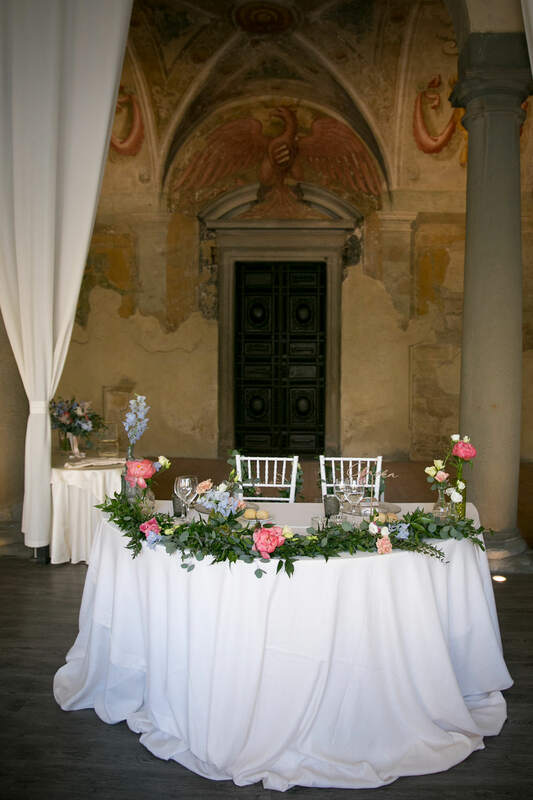 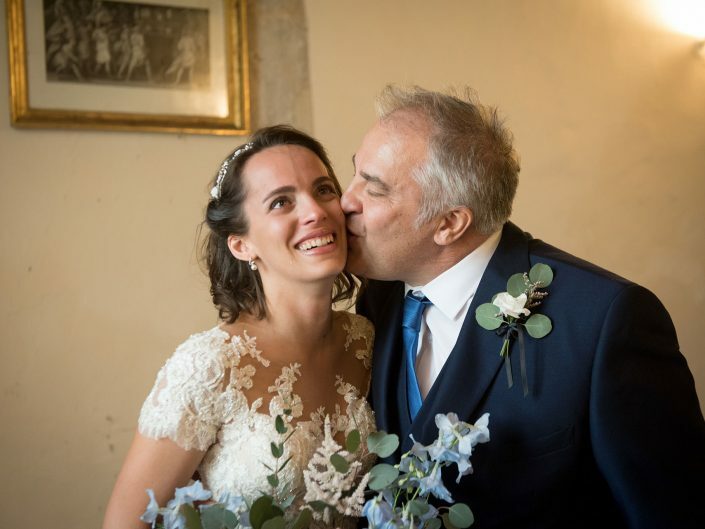 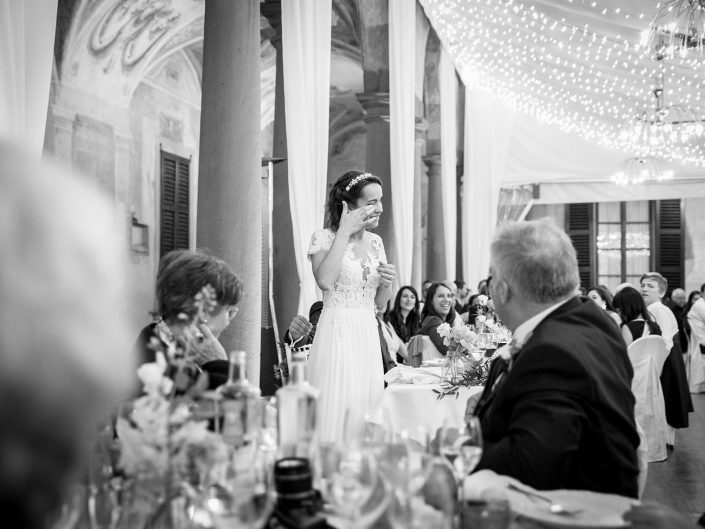 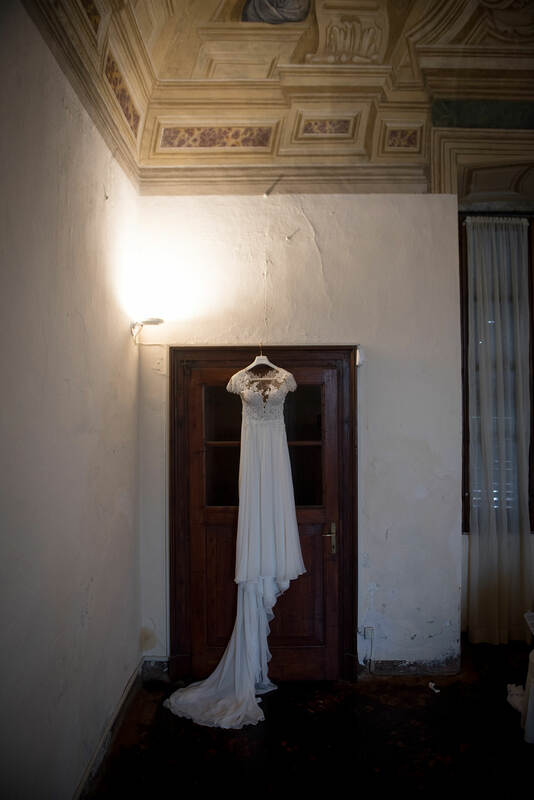 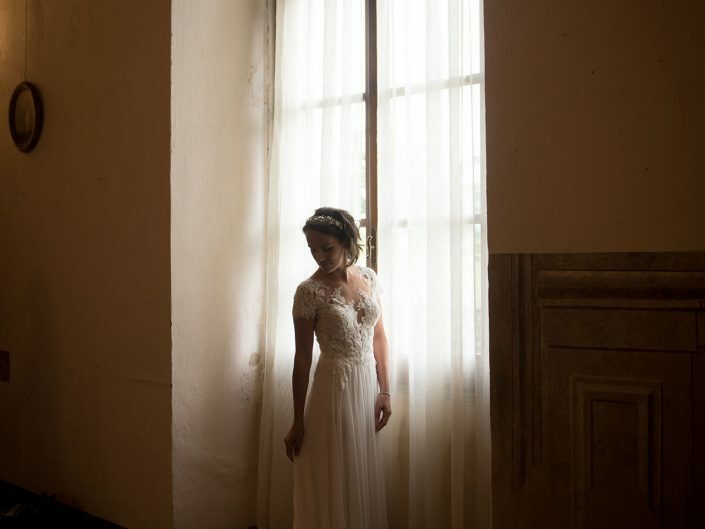 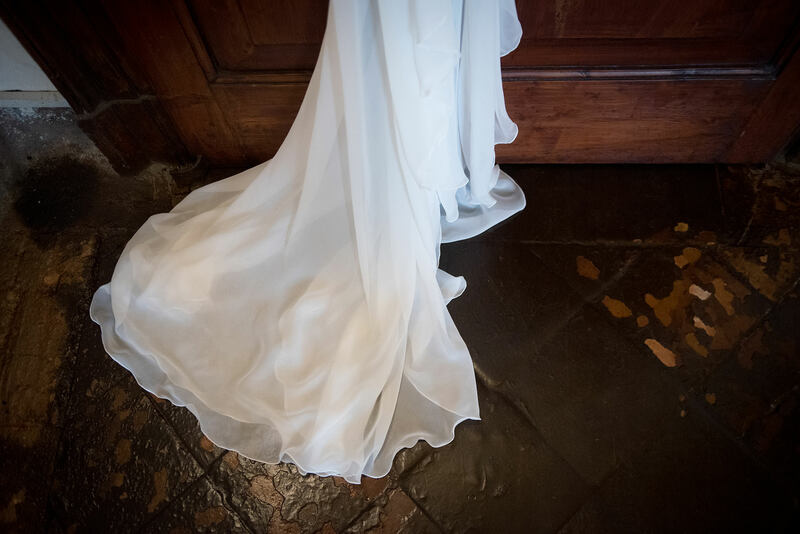 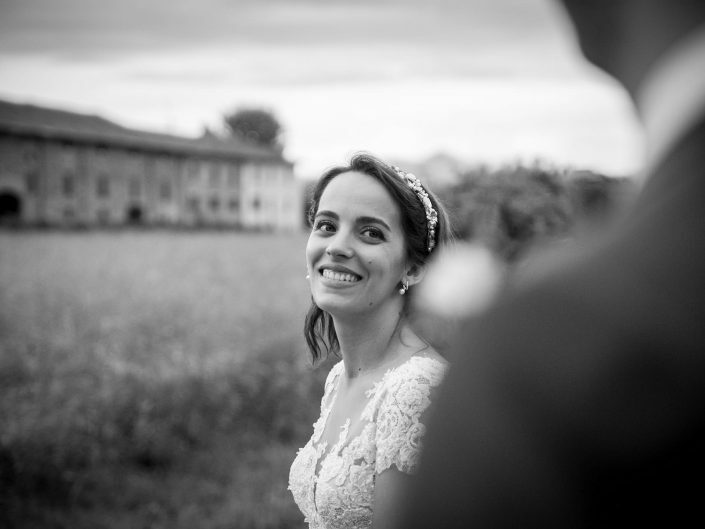 Elisa moved to Belgium from Italy years ago and there she met Jeroen, but for their wedding they decided to come back to Italy, to our wonderful, historical and charming venues. 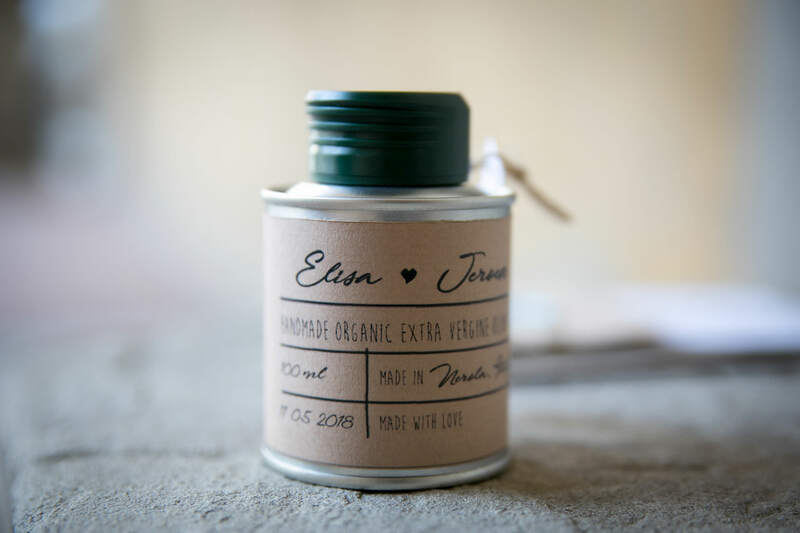 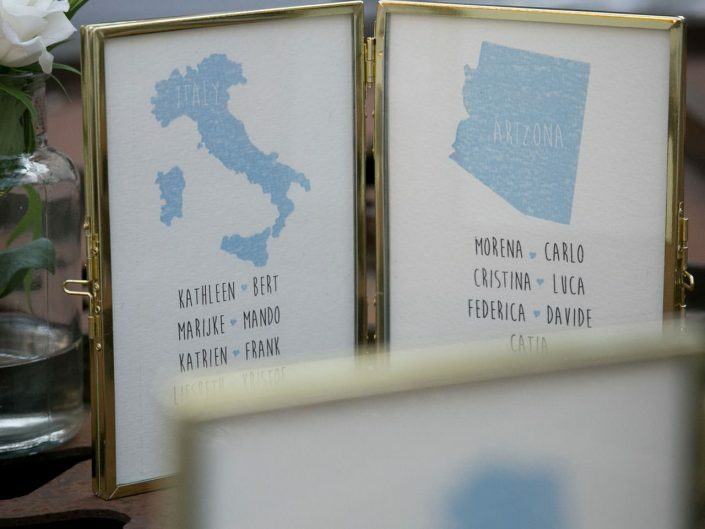 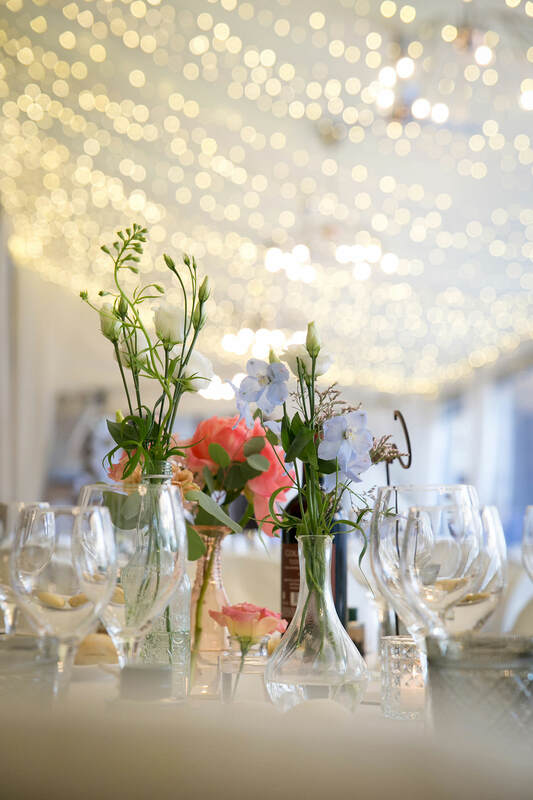 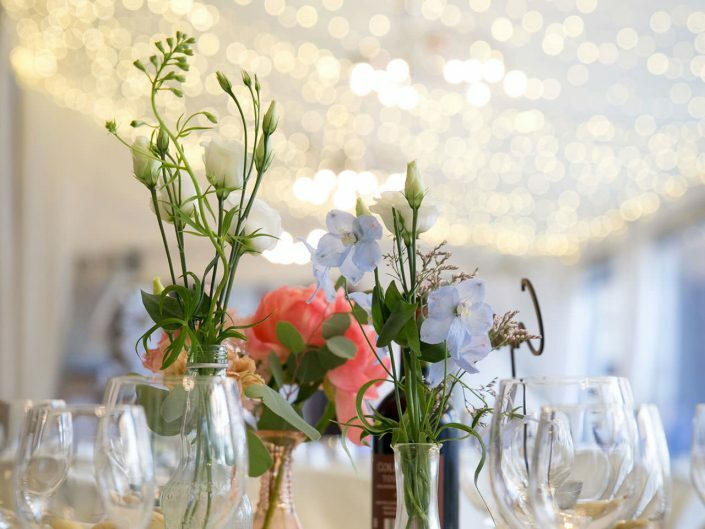 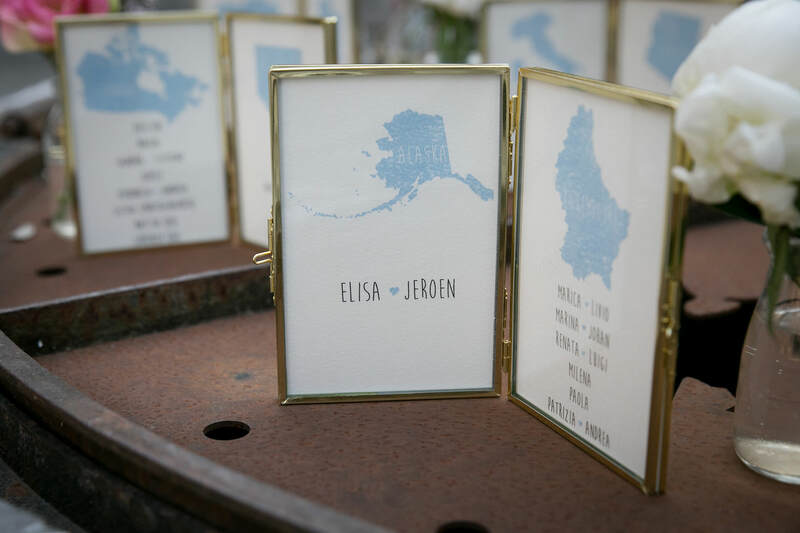 They realised by themselves the wedding invitations, the menu, all the wedding suite and also the adorable favours – a tiny oil can that we used as seat markers. 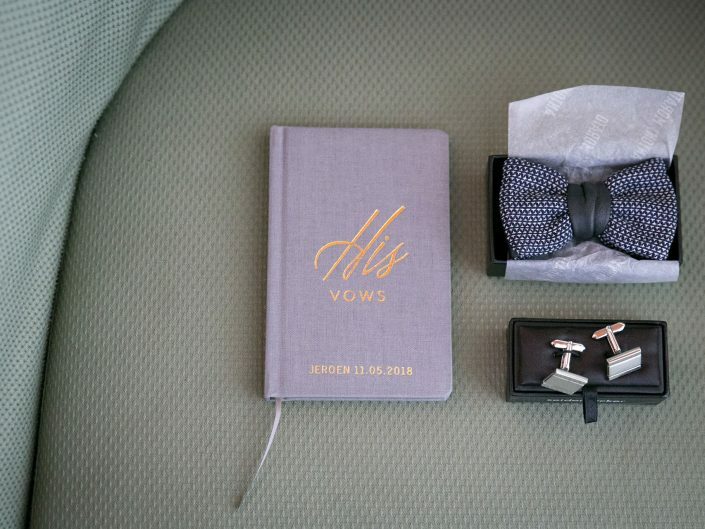 It was may and we planned an outdoor ceremony. 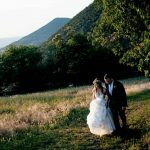 Obviously the weather was on our side till 30 minutes before the ceremony but then a big dark cloud peeked out on the horizon. 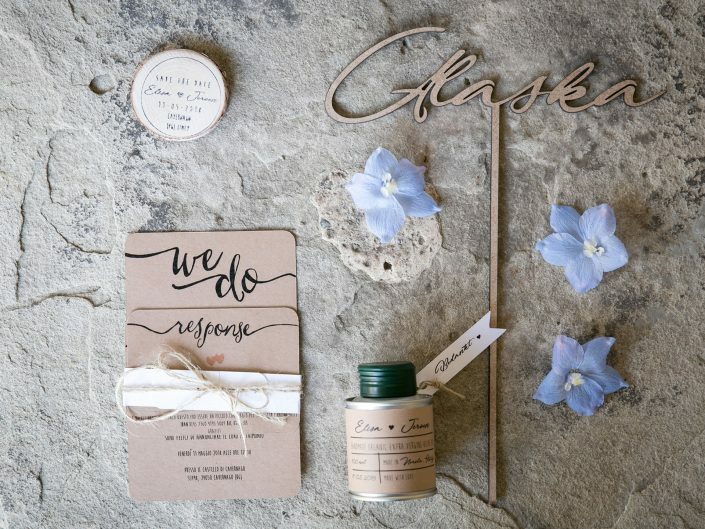 What could we do? 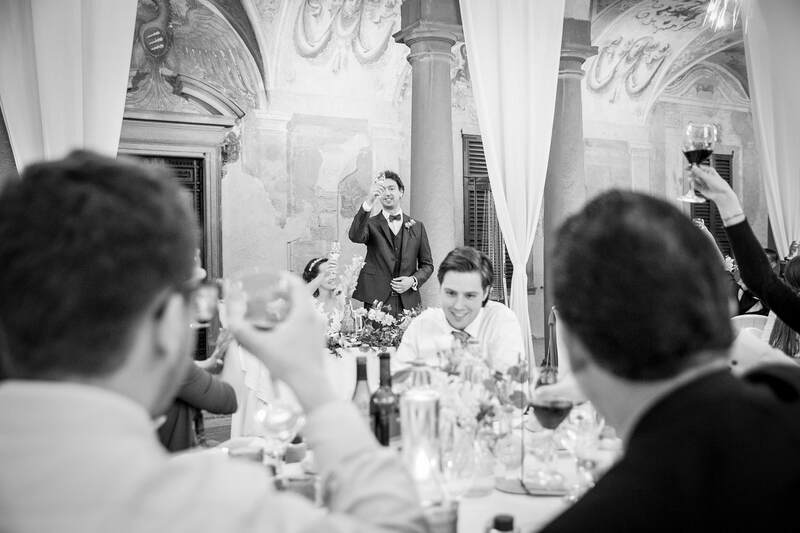 We moved all the setting in a Castle room and the ceremony was even more charming and intimate! 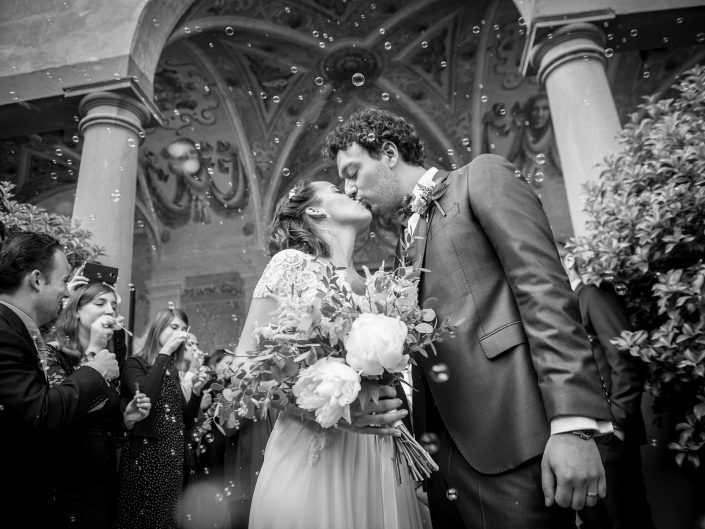 And in the end did it rain? 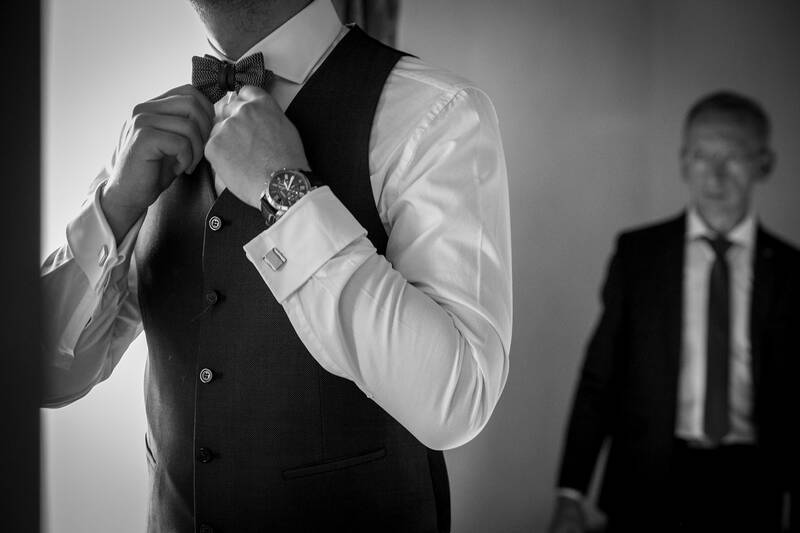 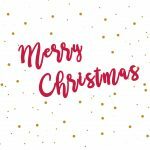 Nope, thanks to Murphy law! 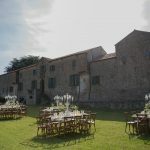 And we could arrange the welcome cocktail outside. 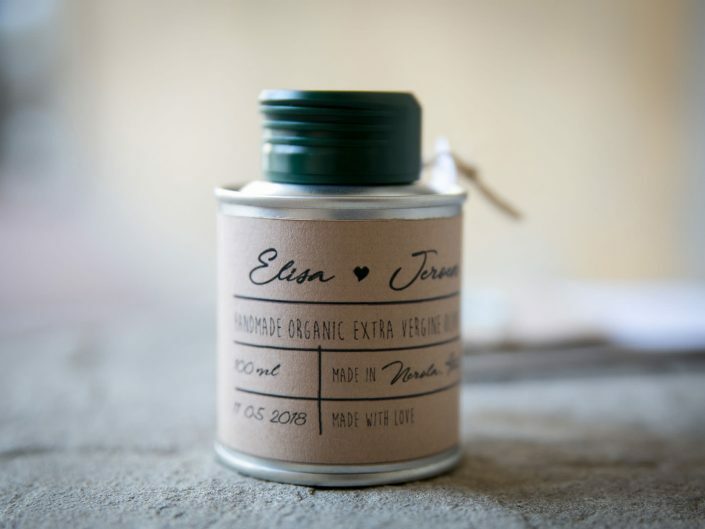 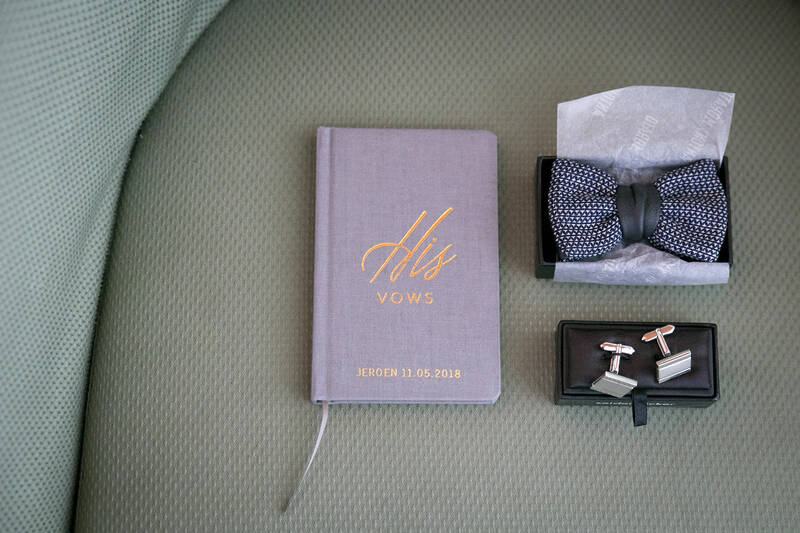 Wedding invitations and favours: bride & groom!